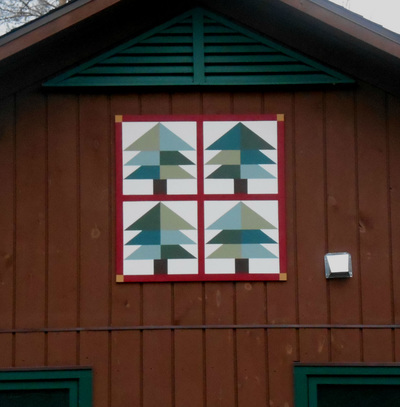 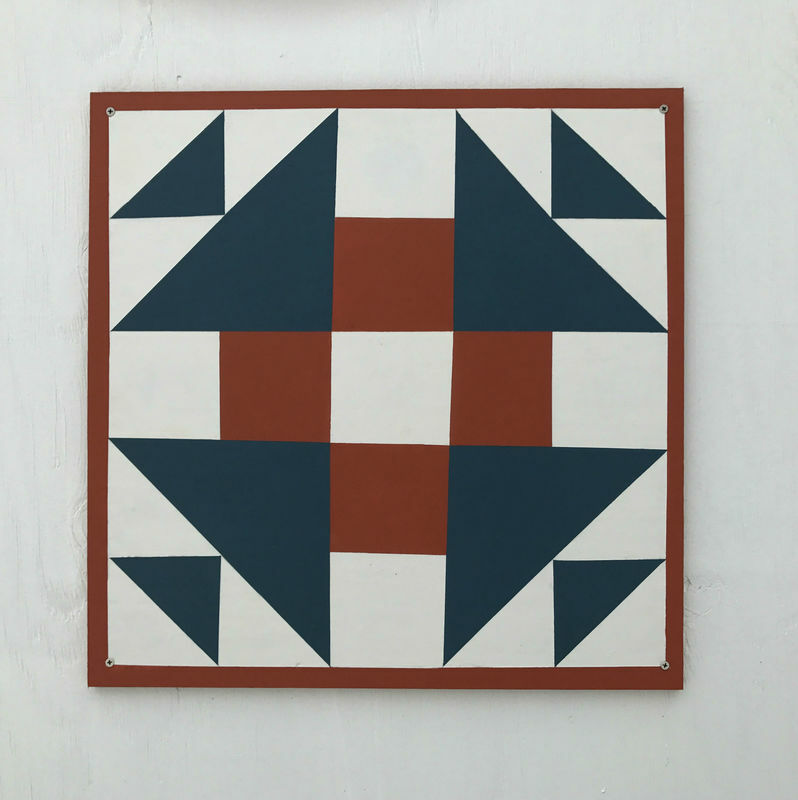 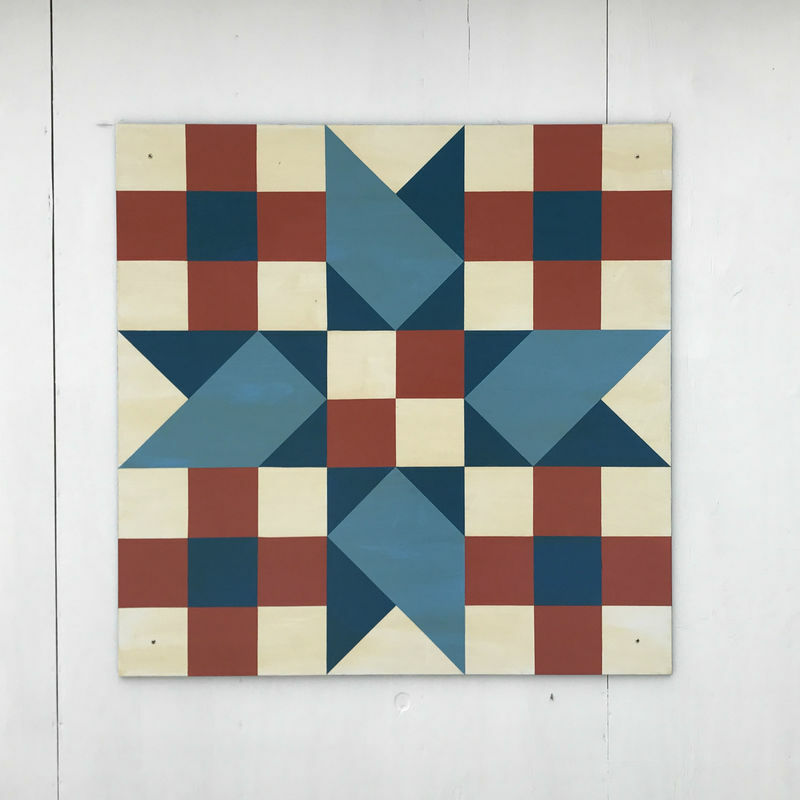 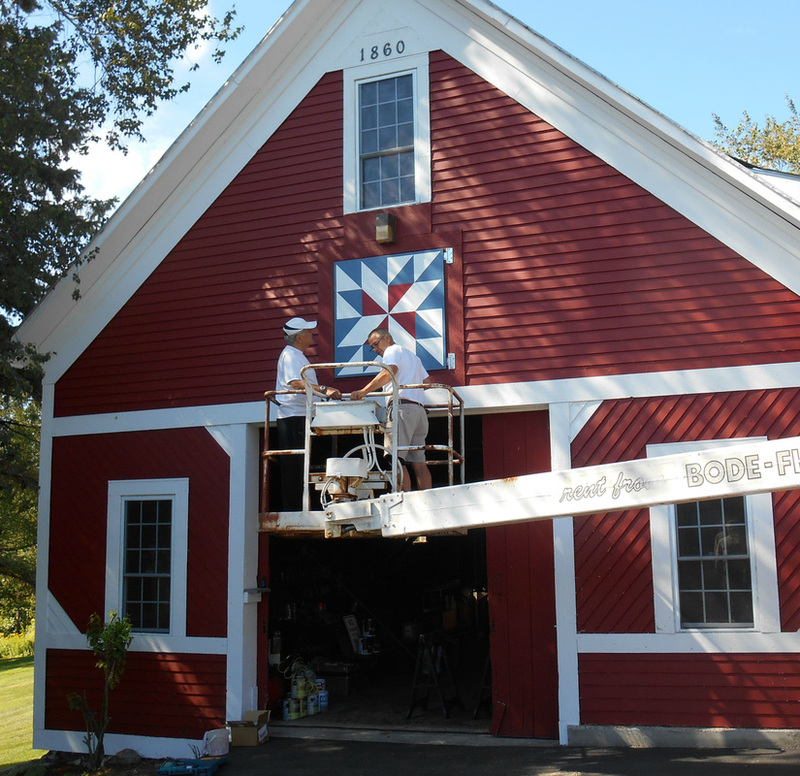 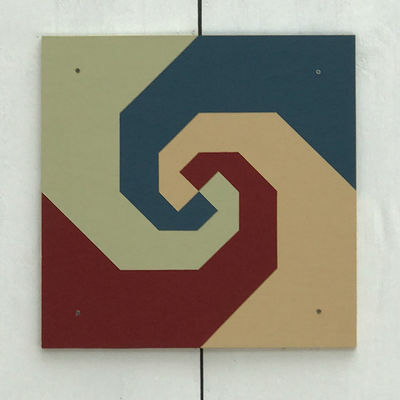 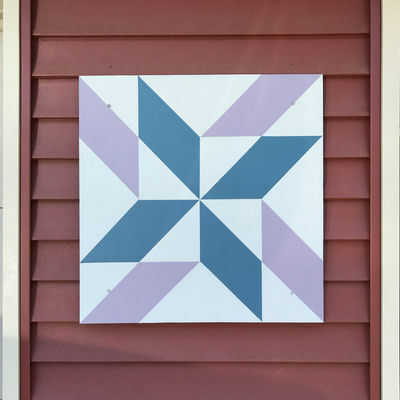 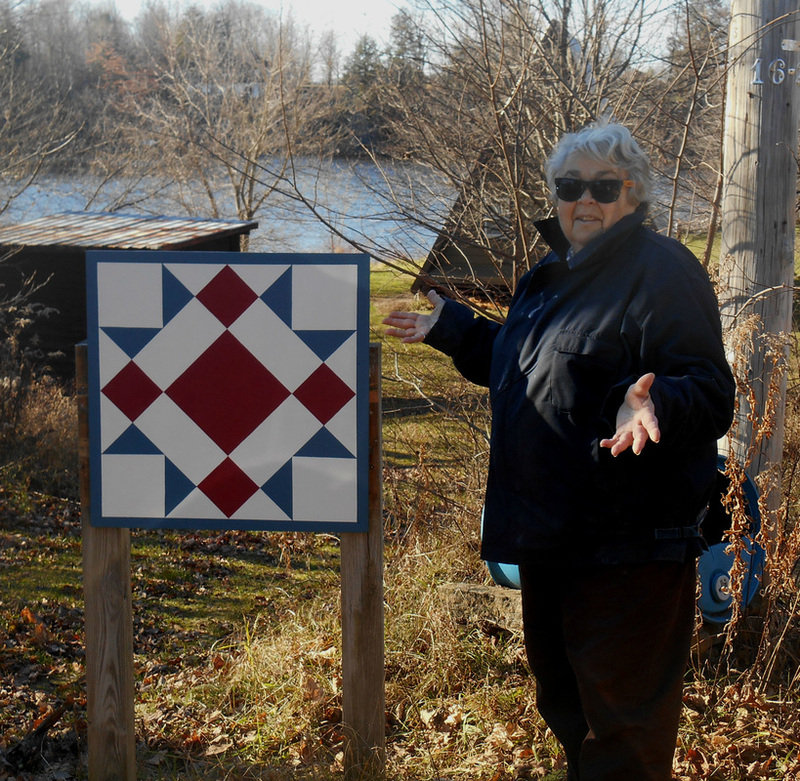 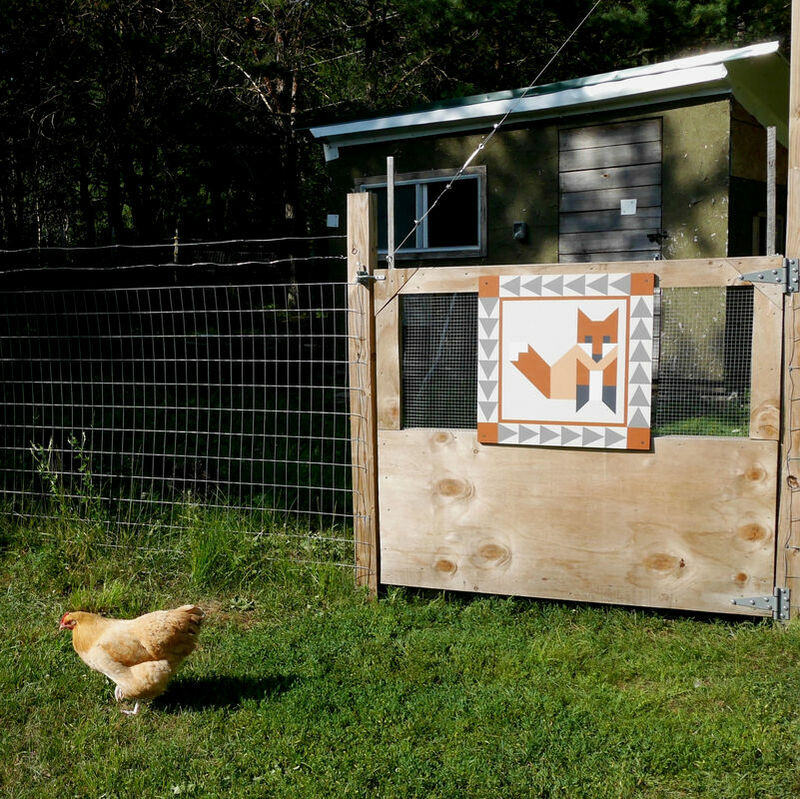 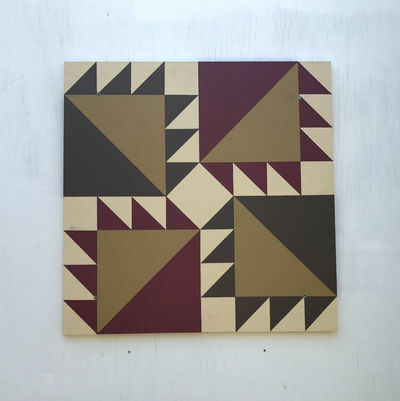 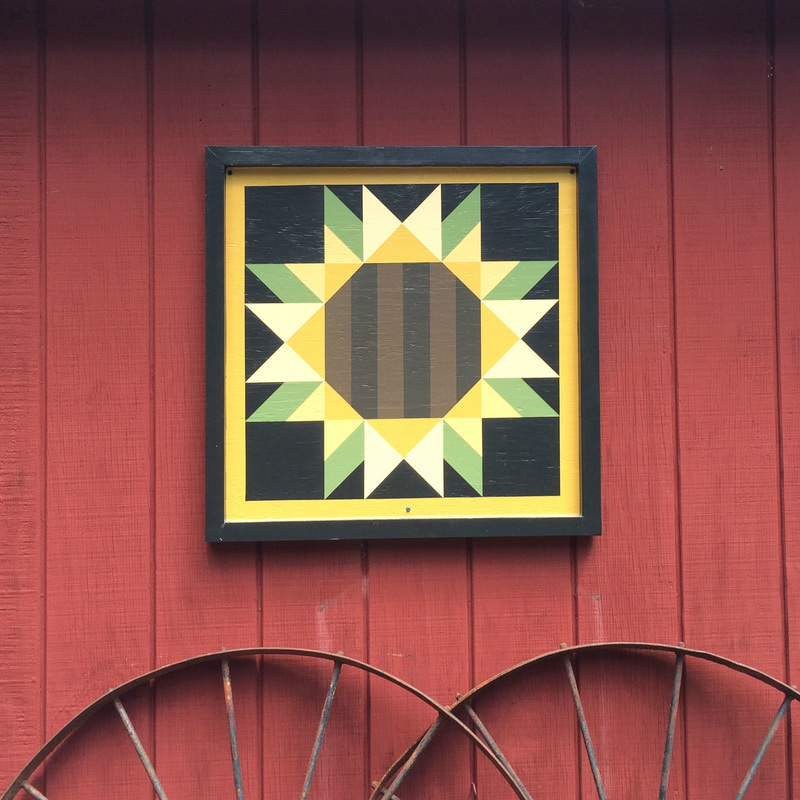 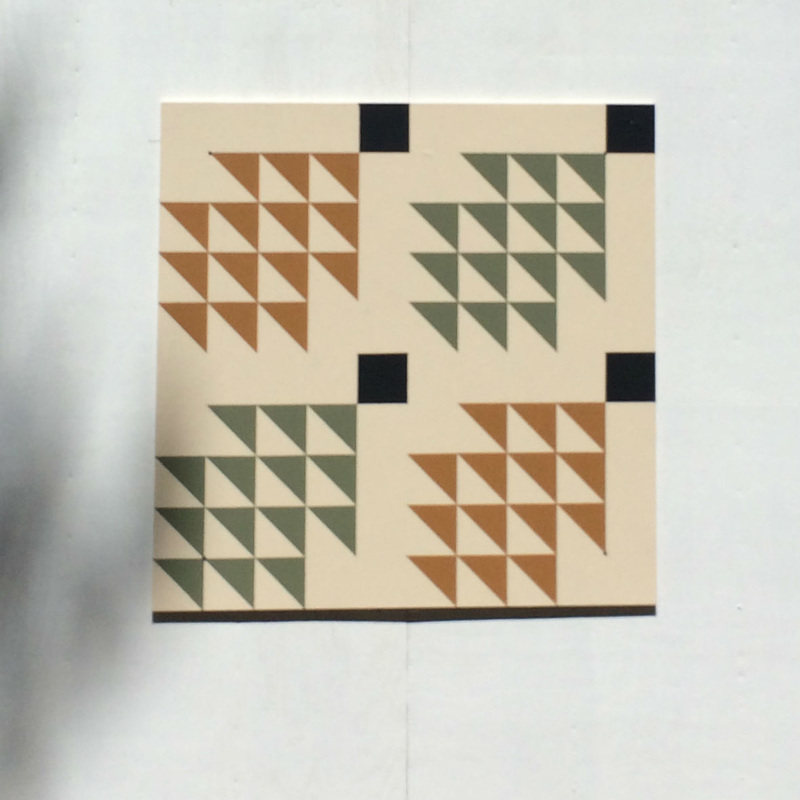 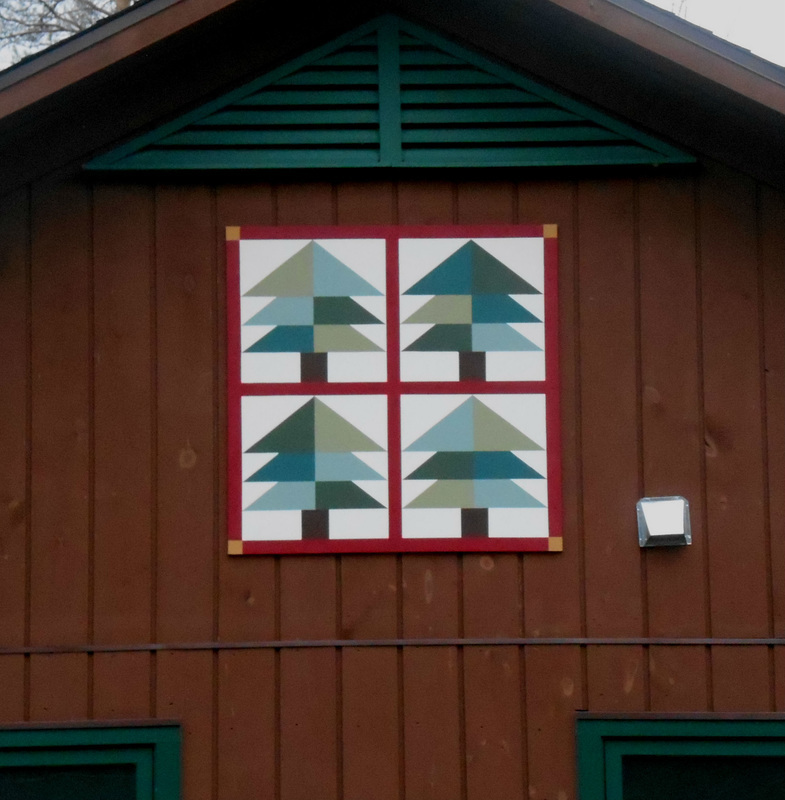 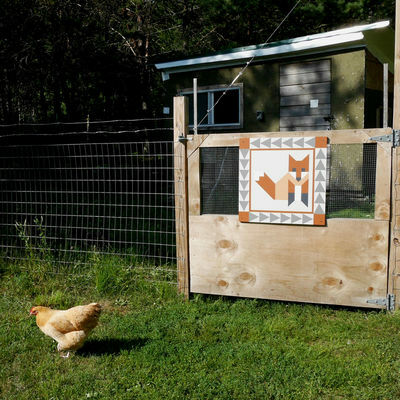 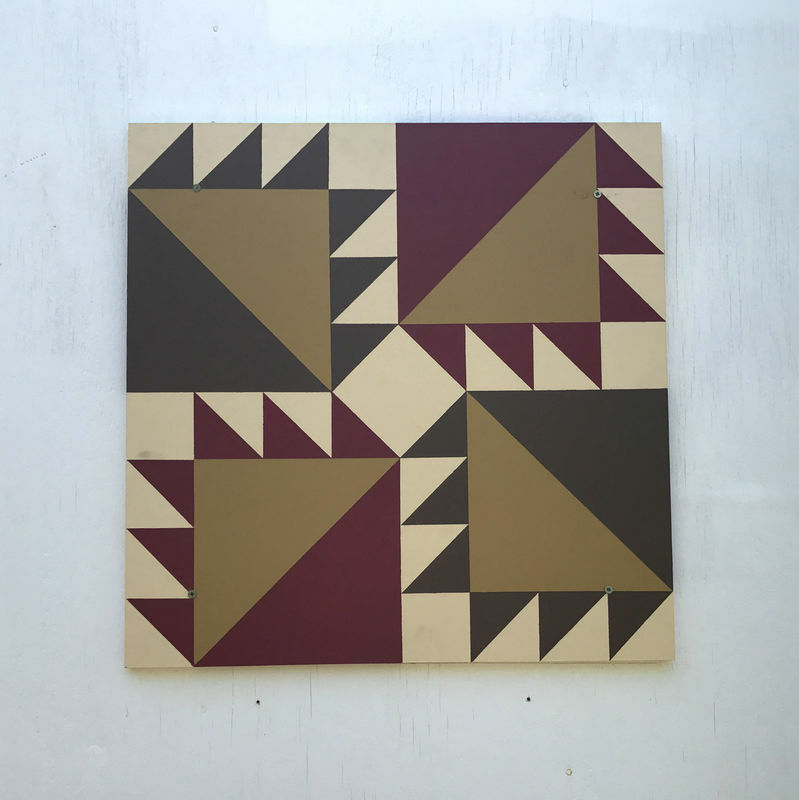 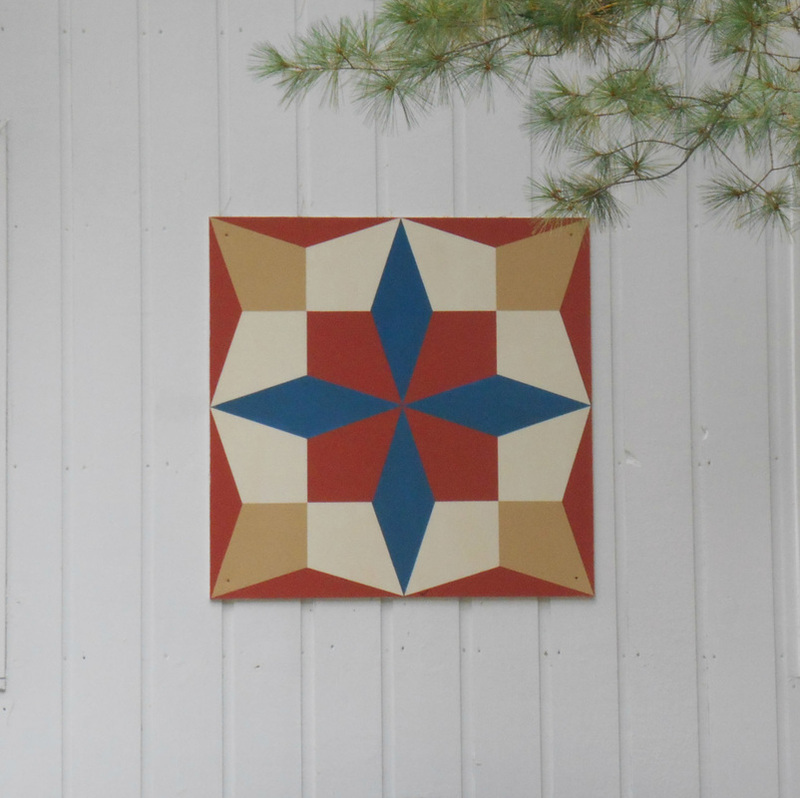 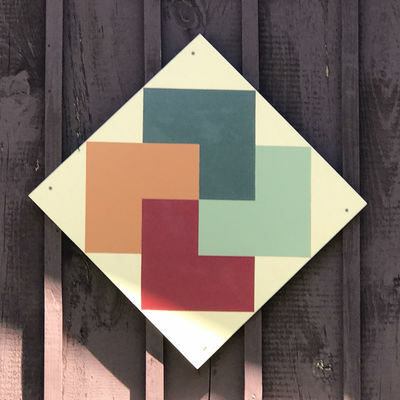 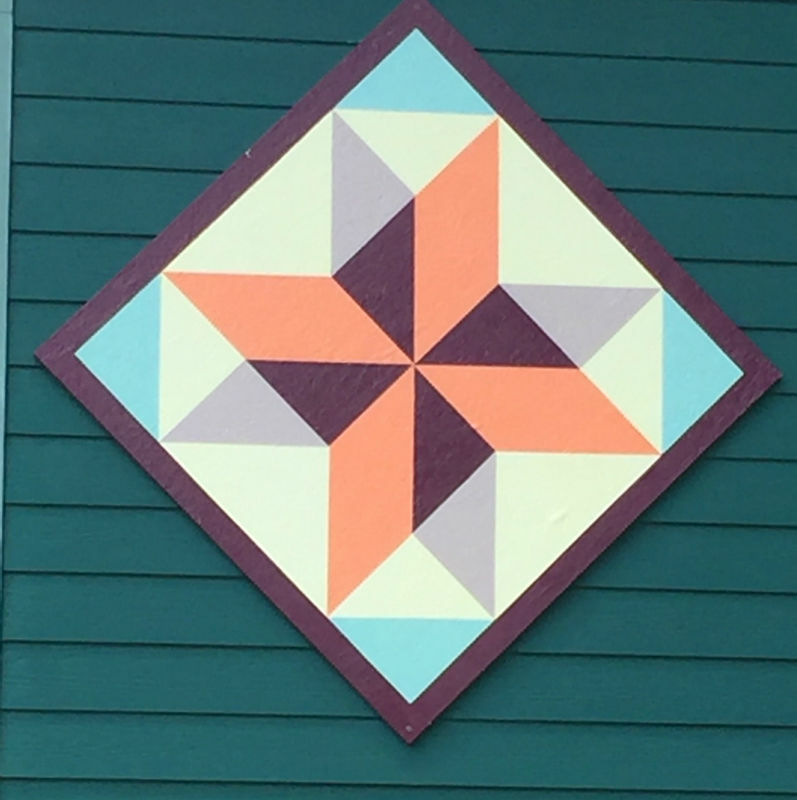 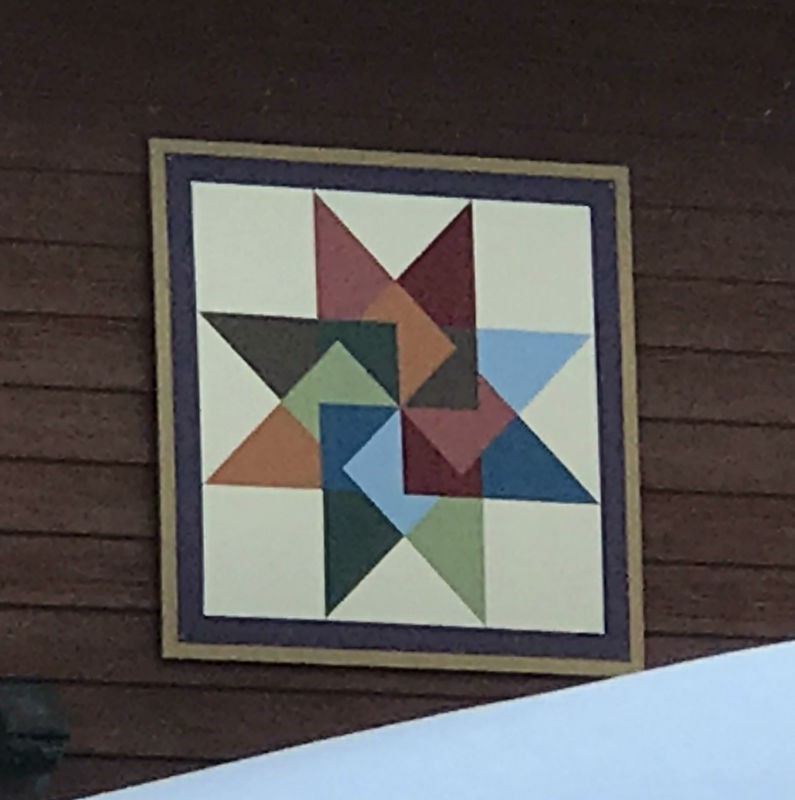 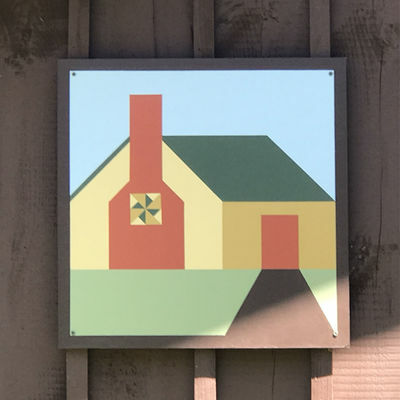 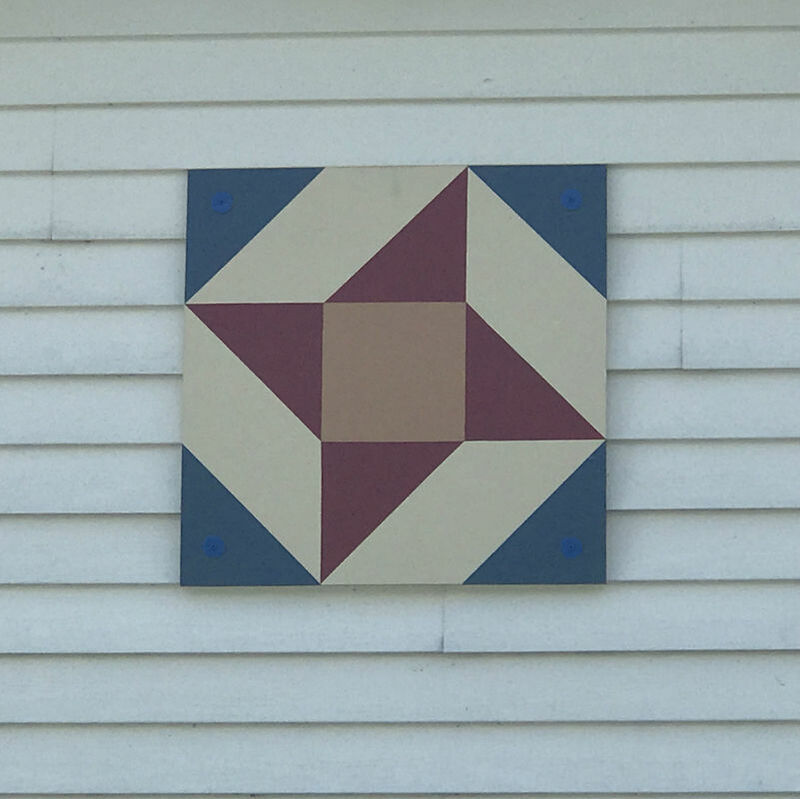 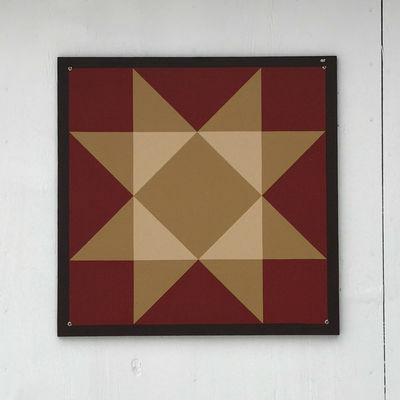 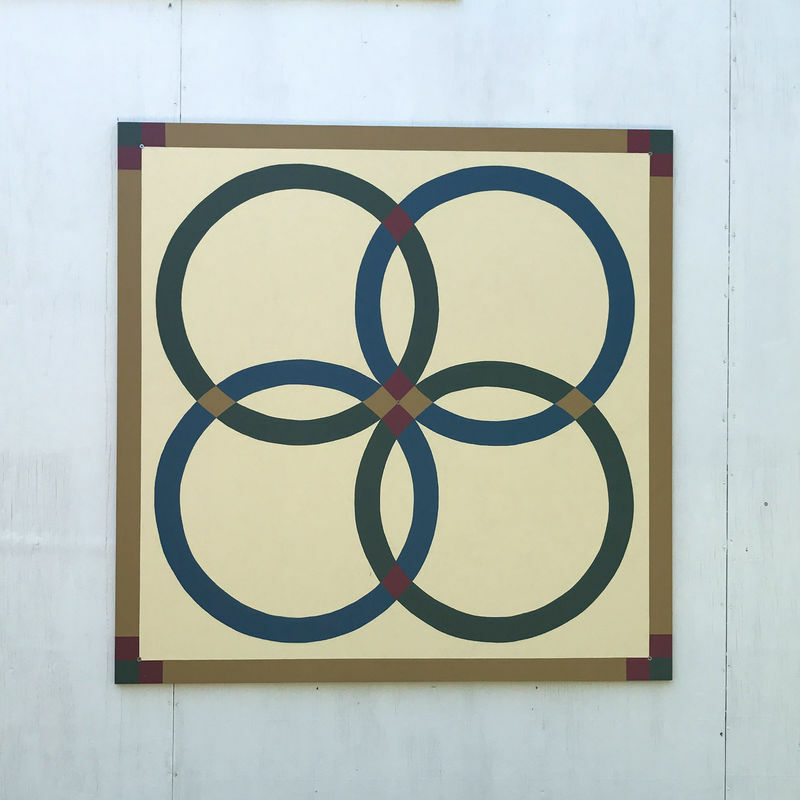 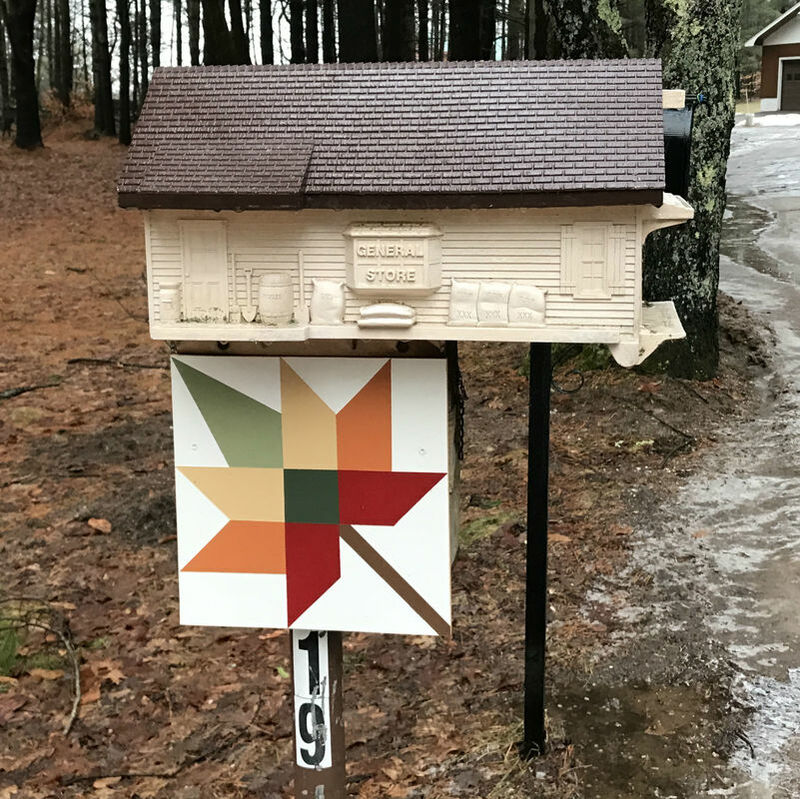 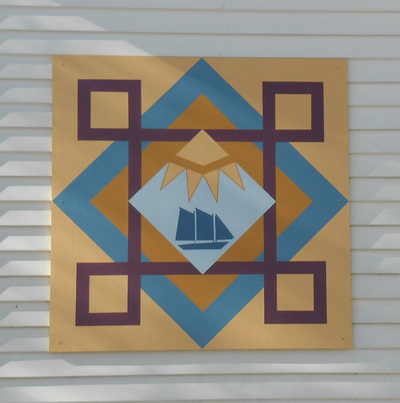 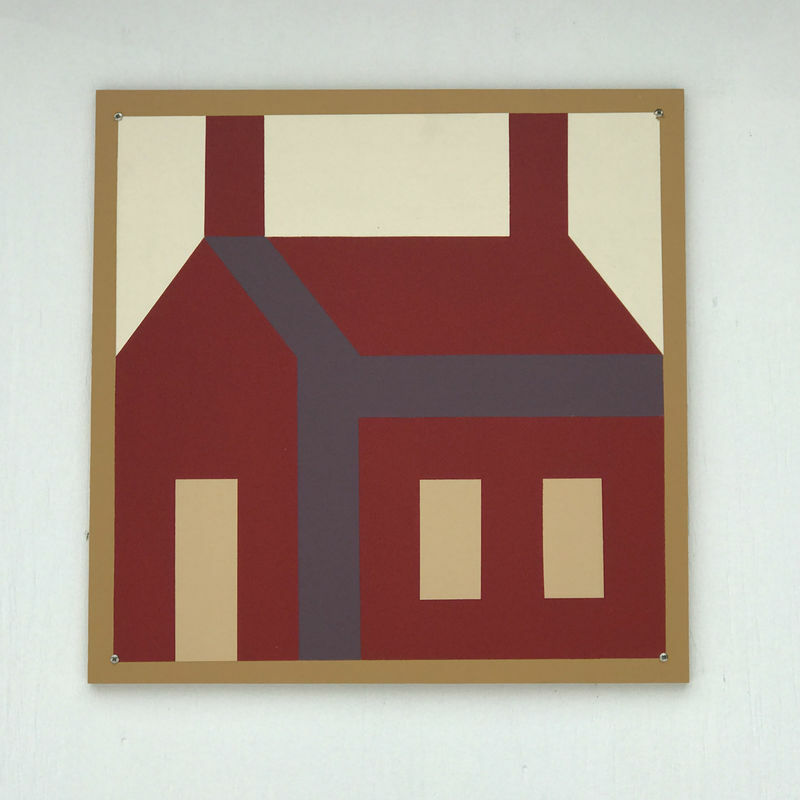 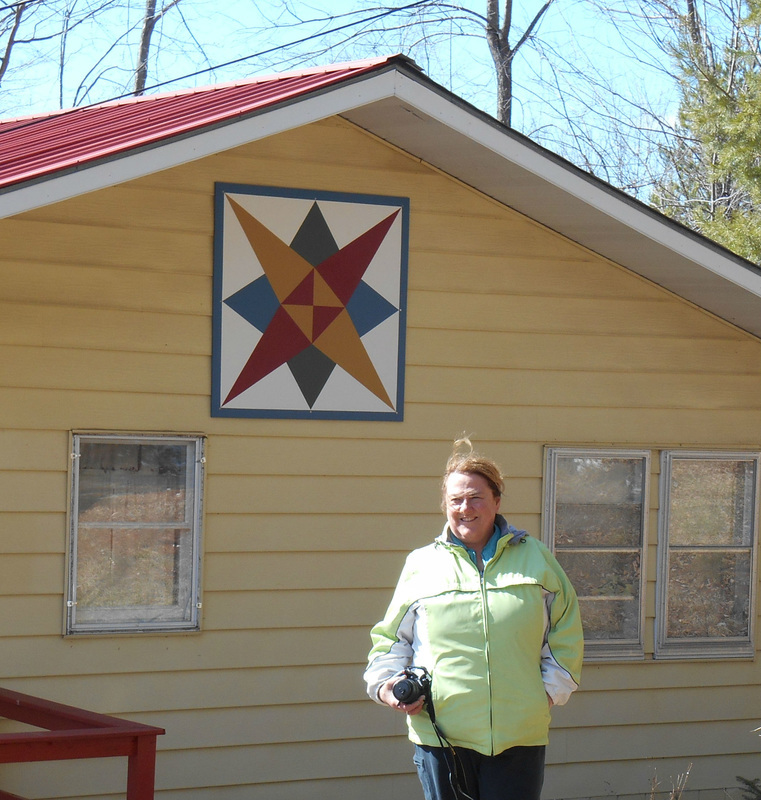 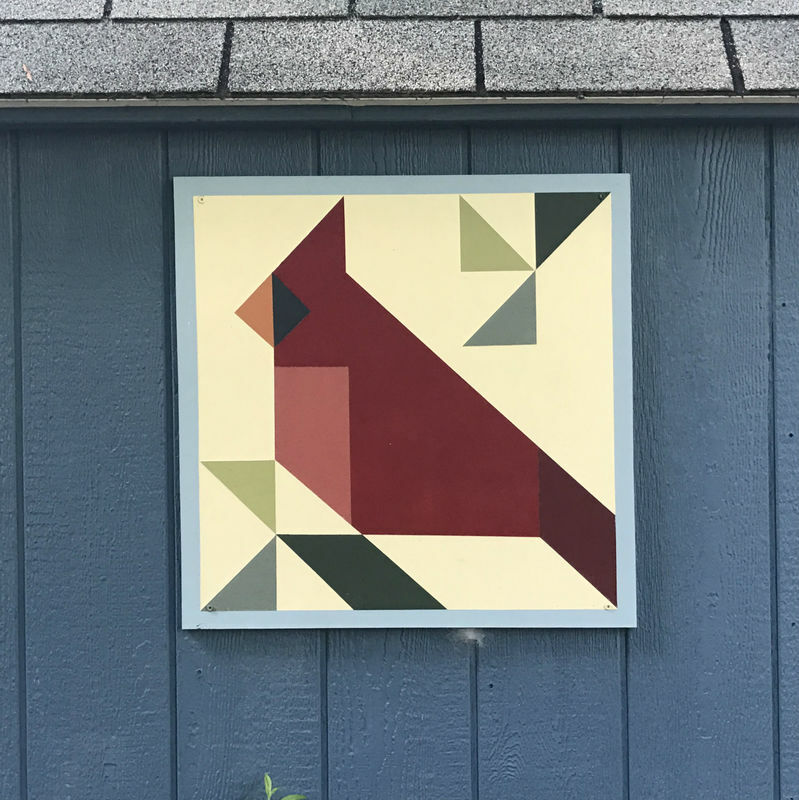 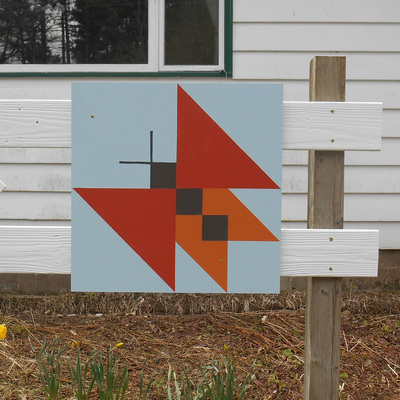 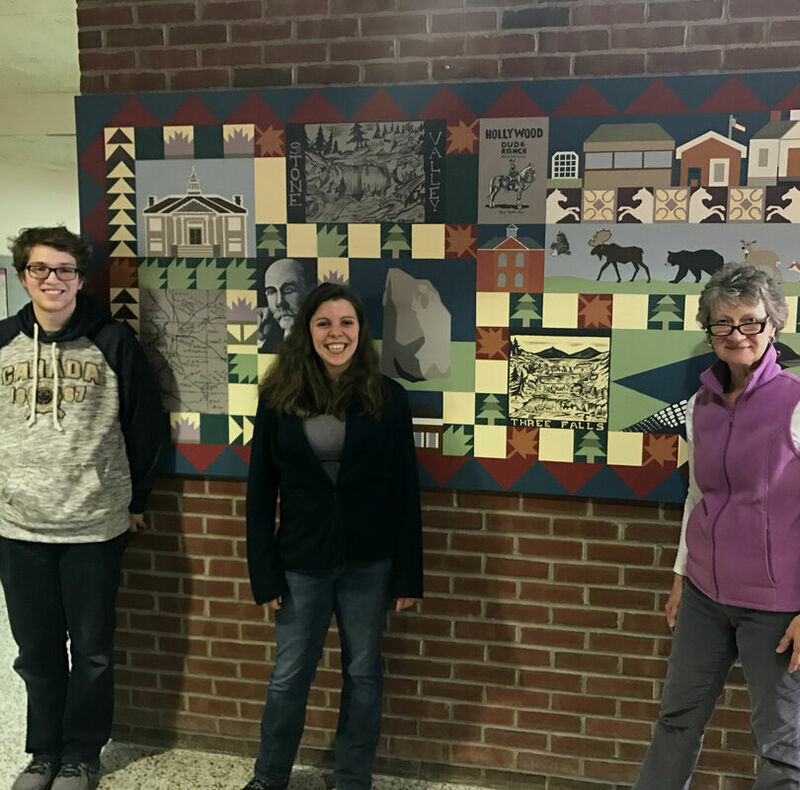 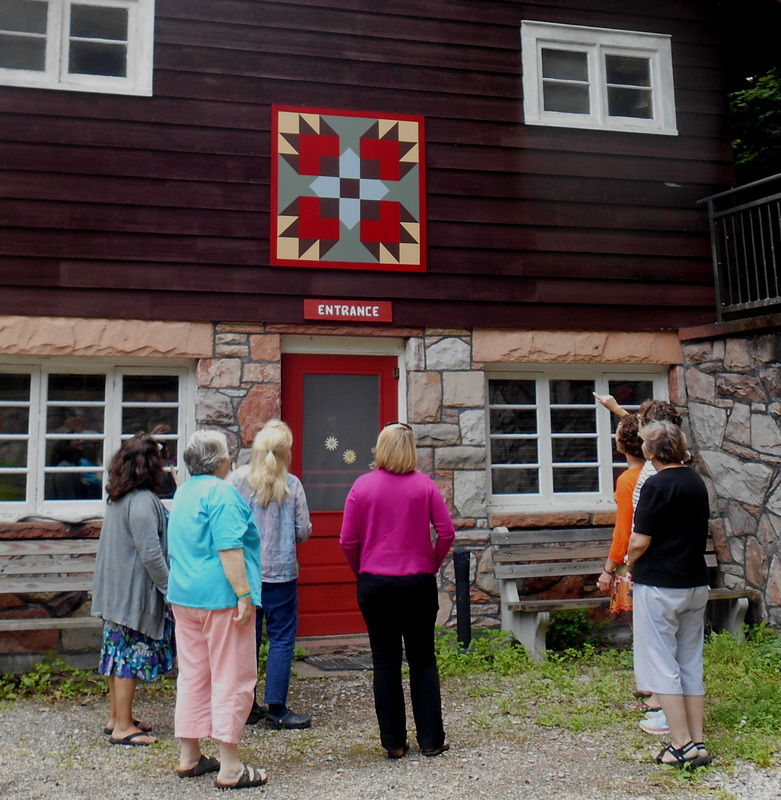 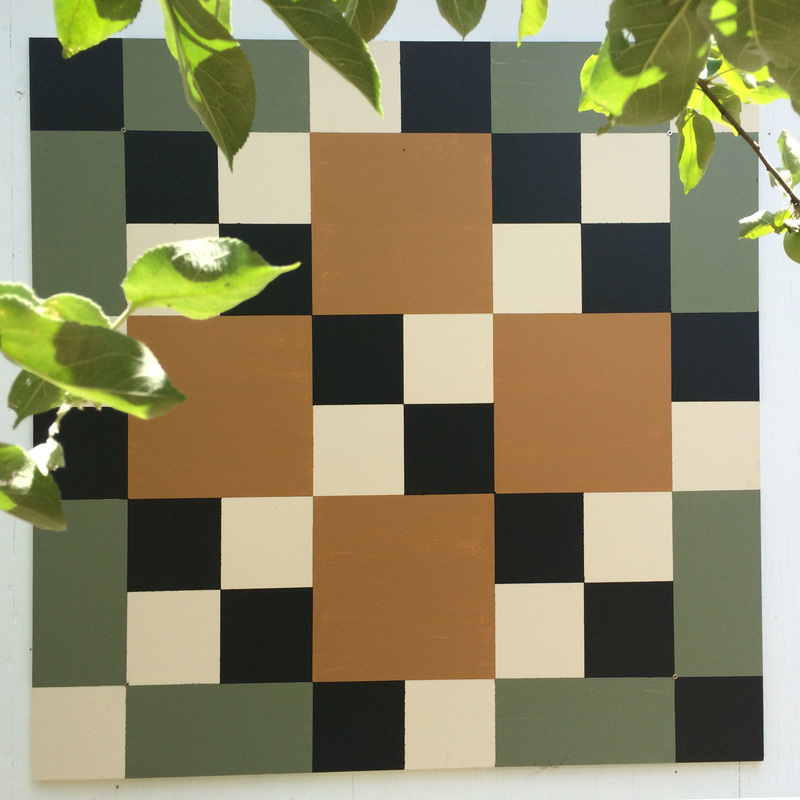 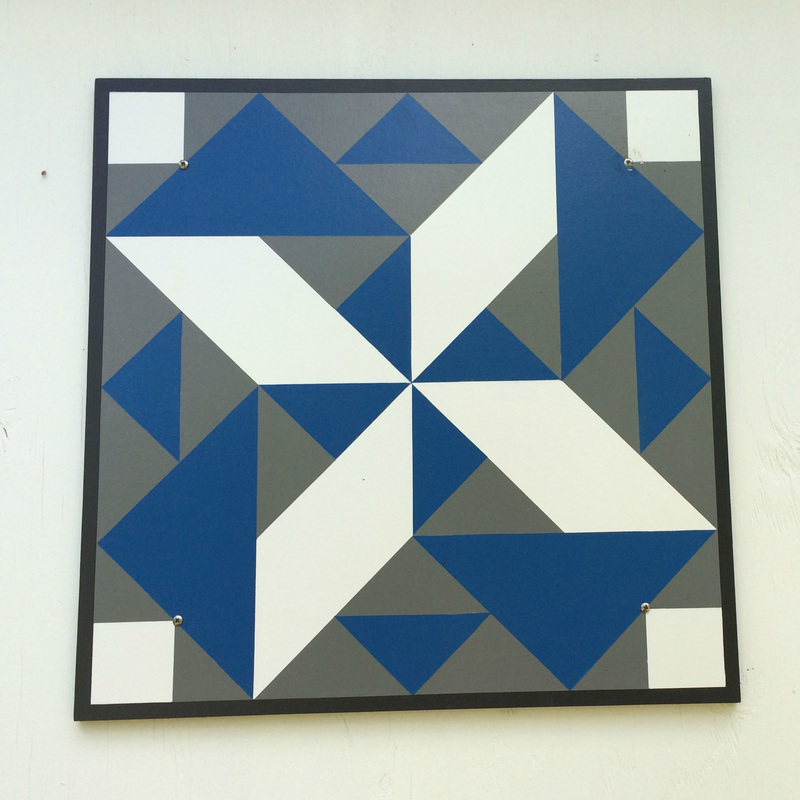 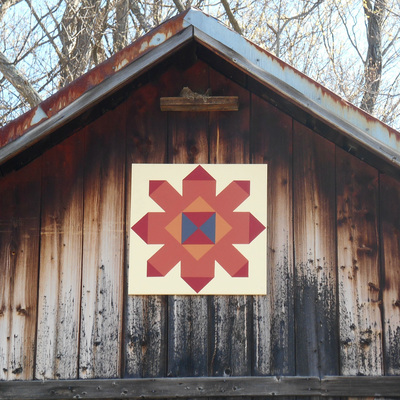 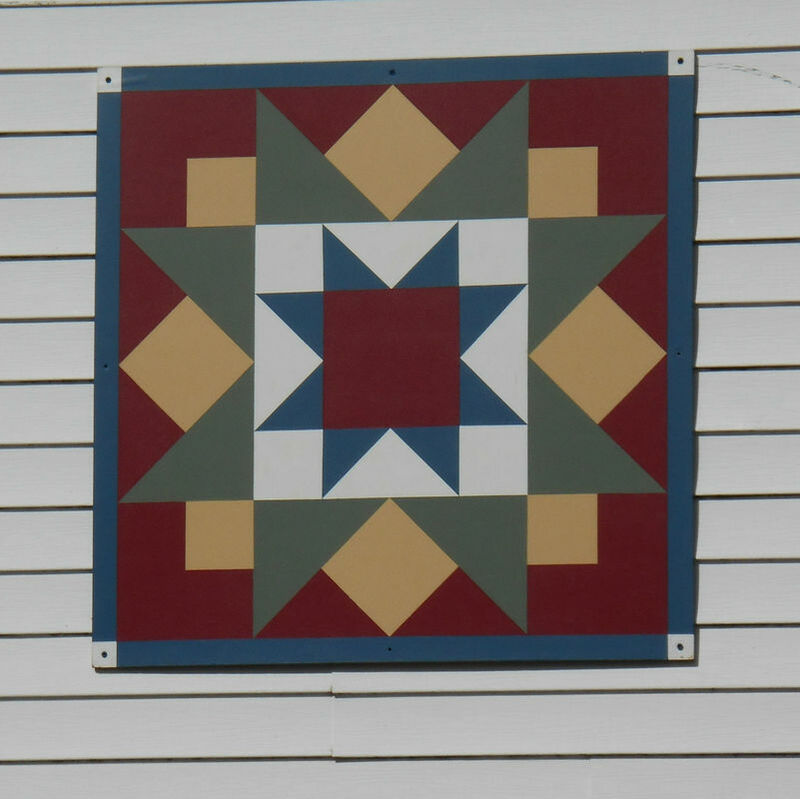 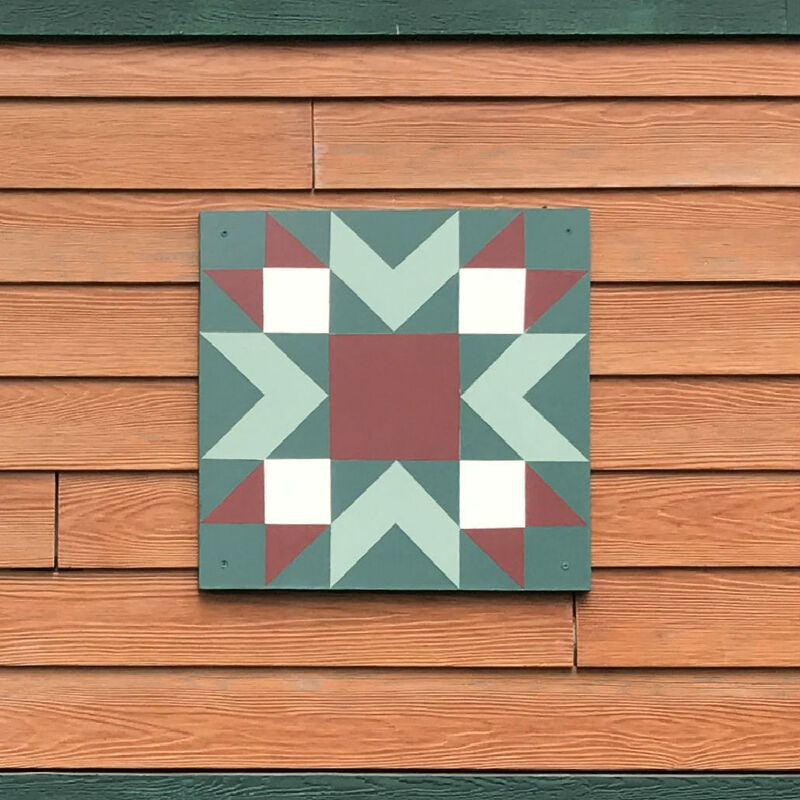 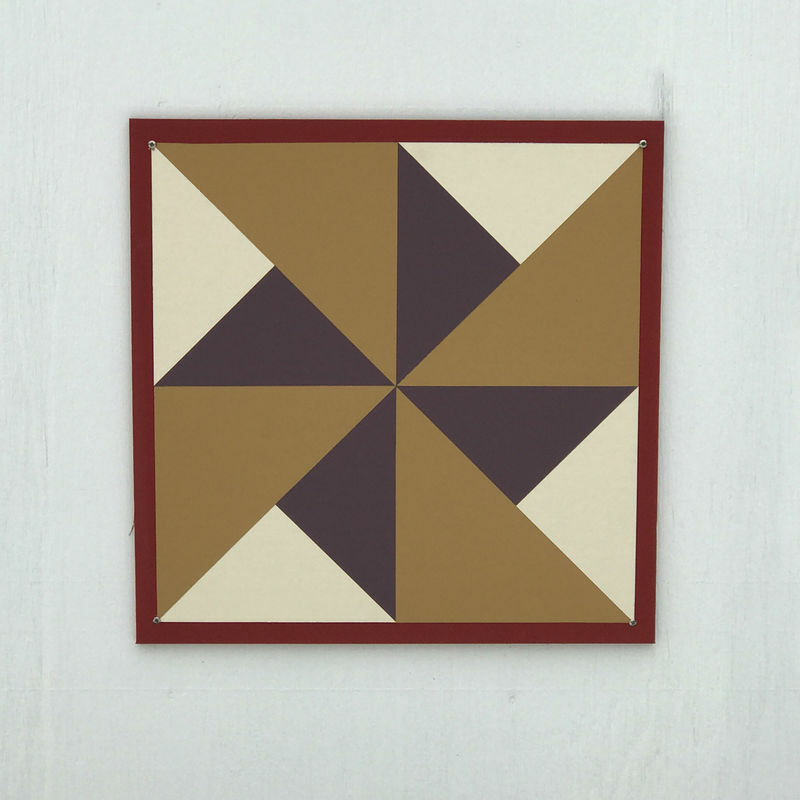 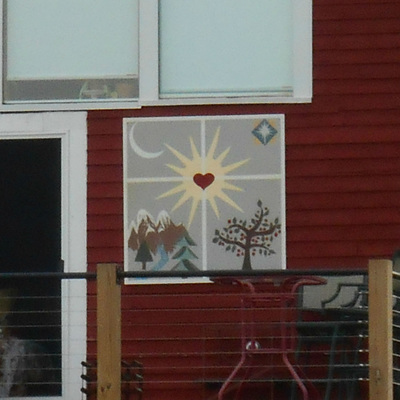 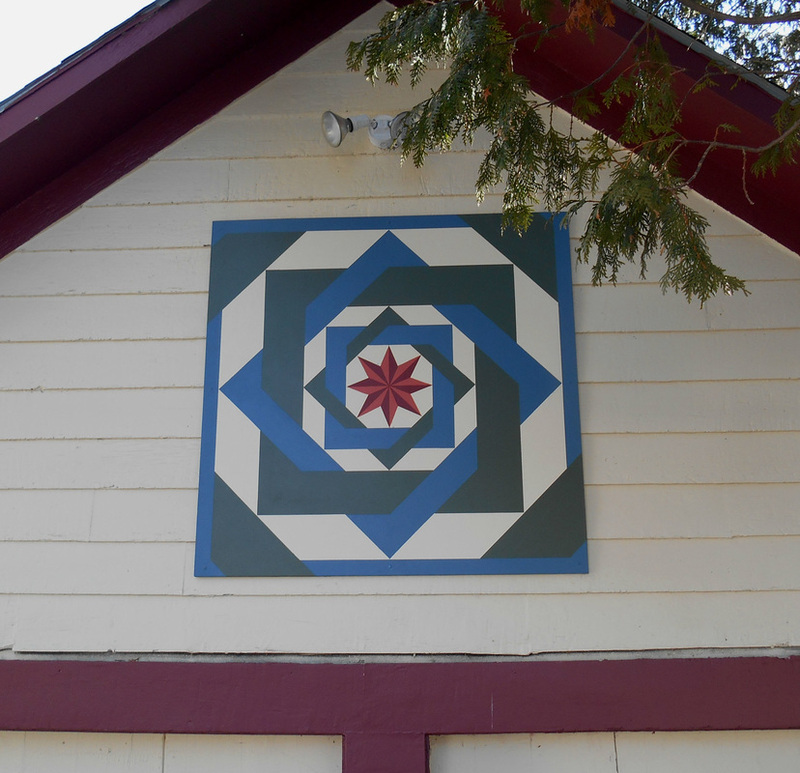 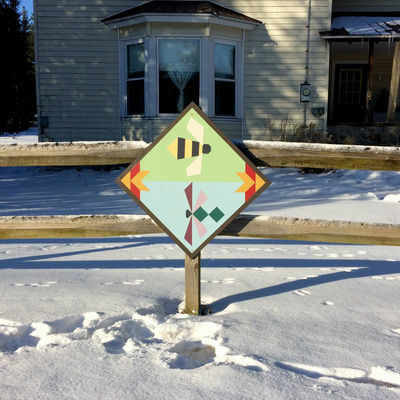 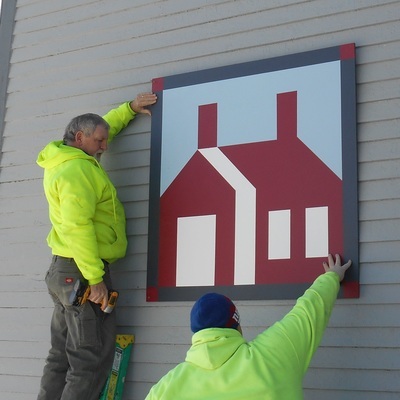 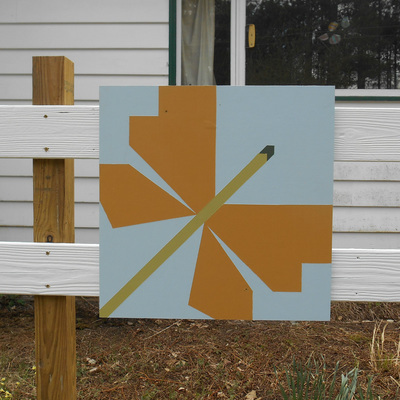 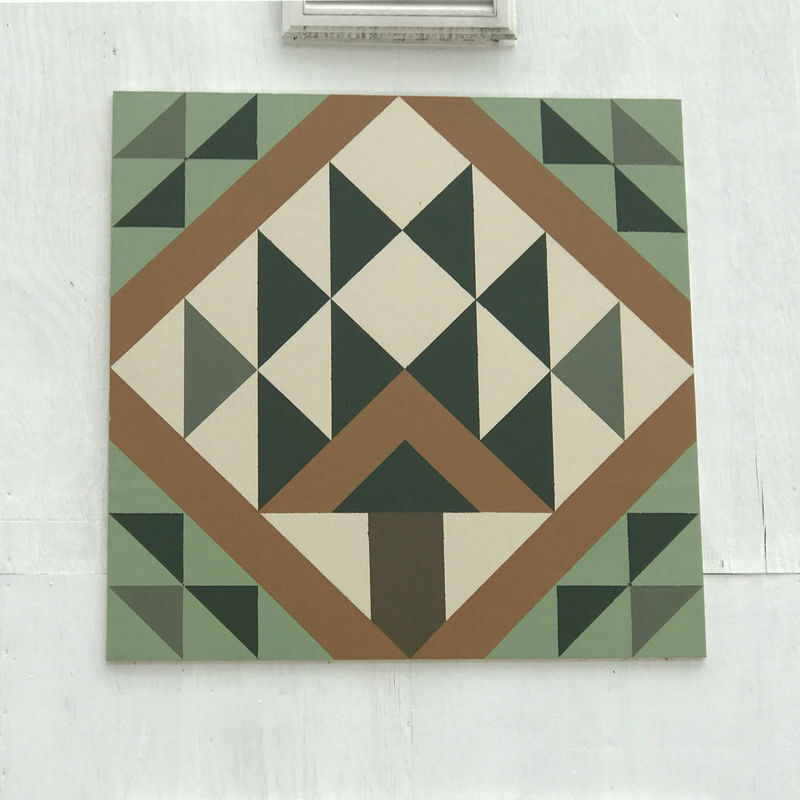 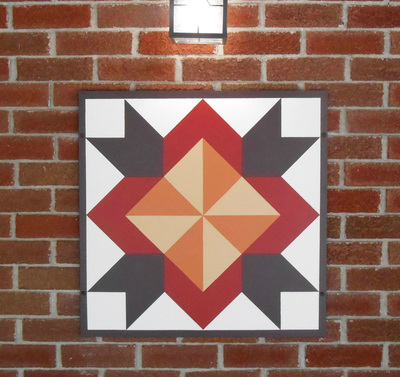 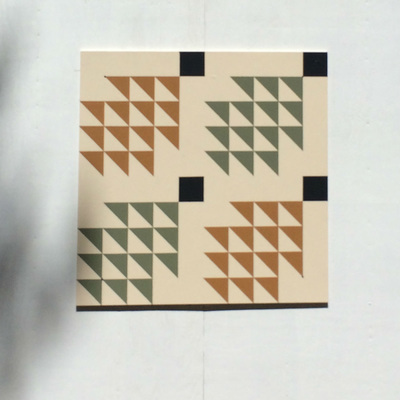 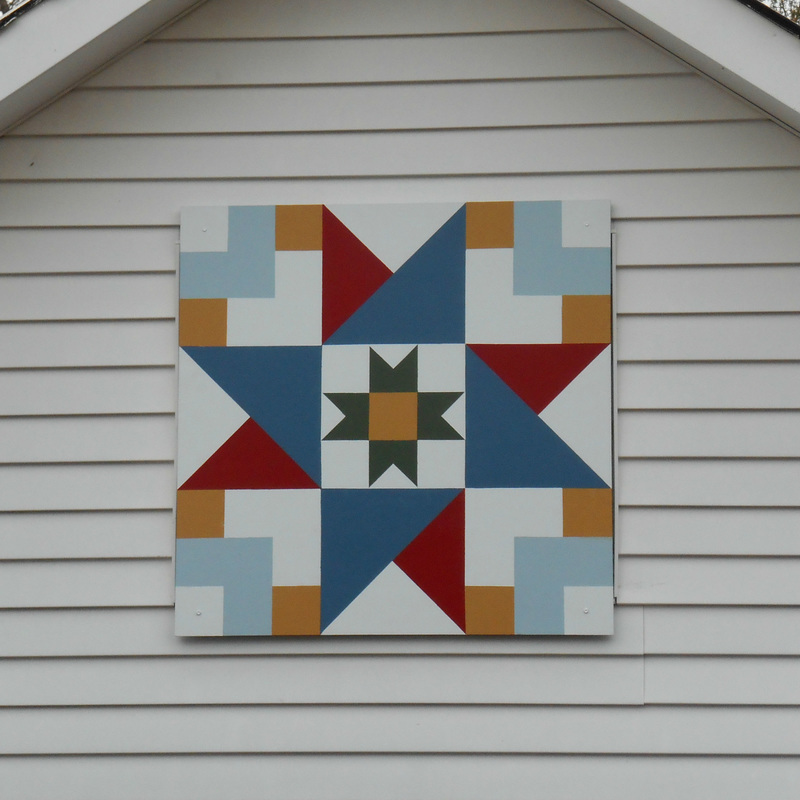 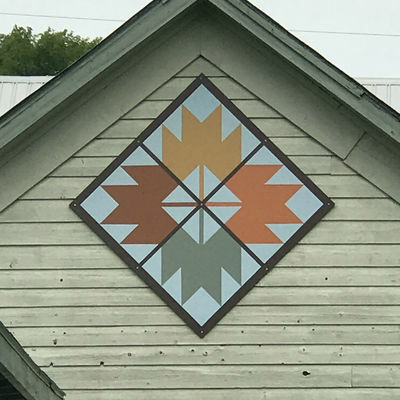 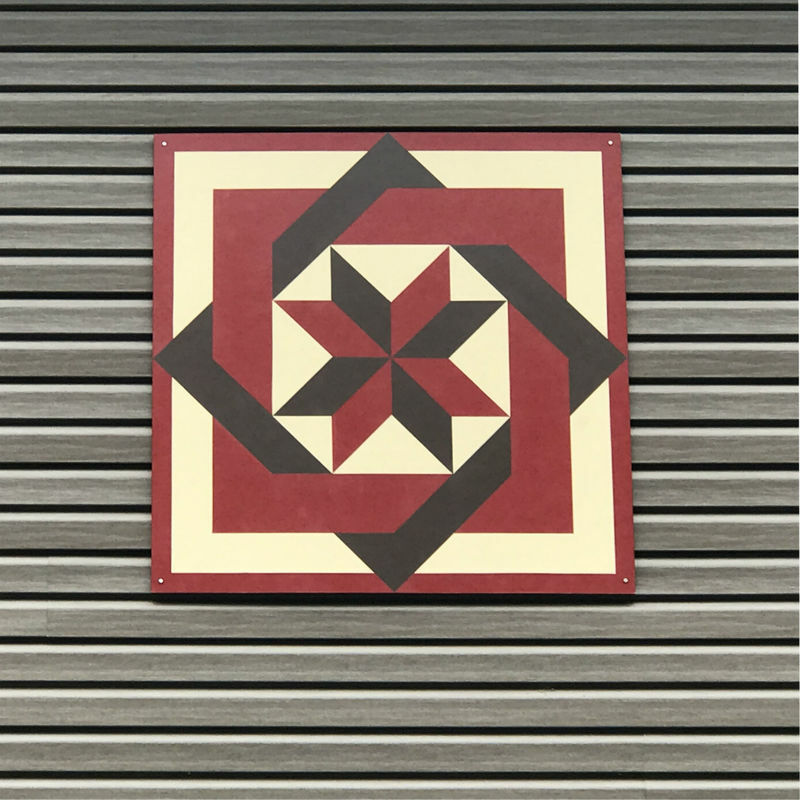 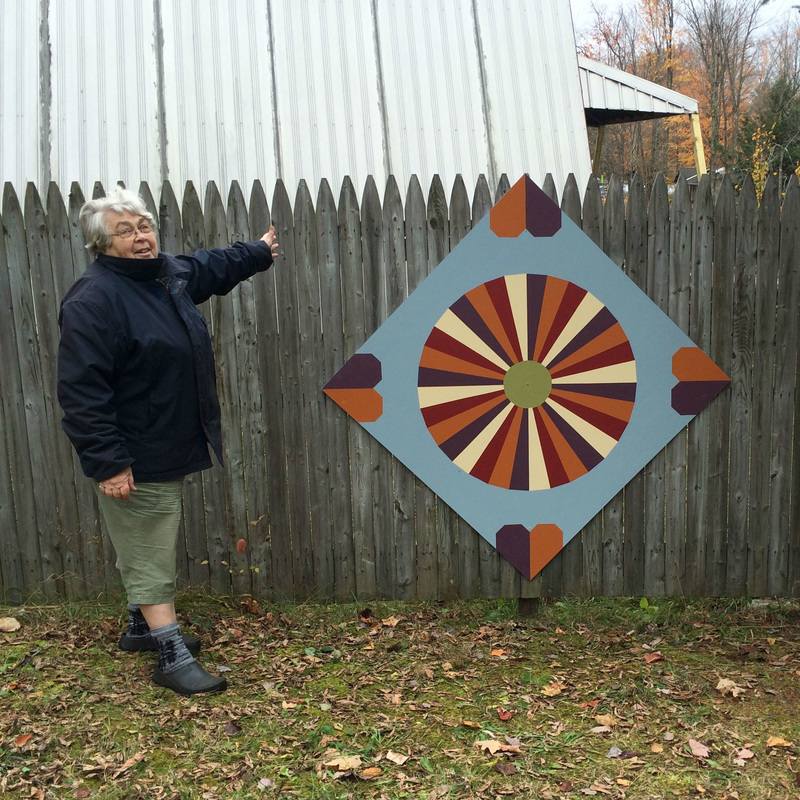 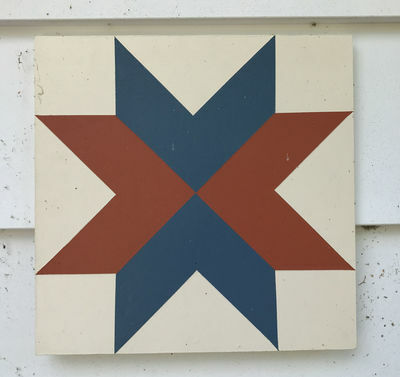 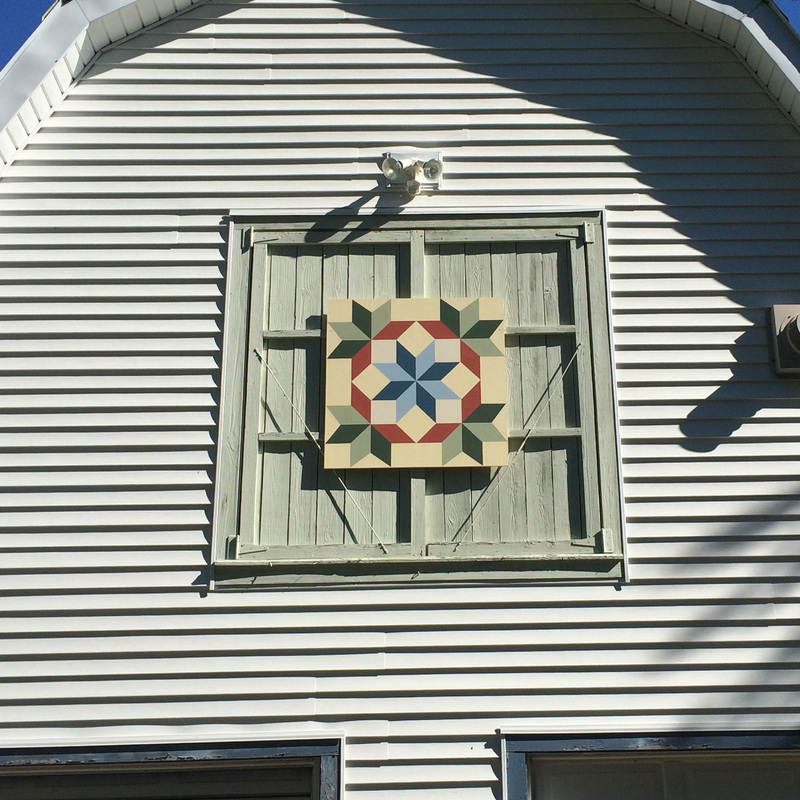 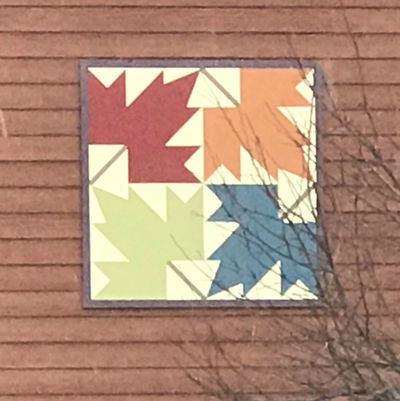 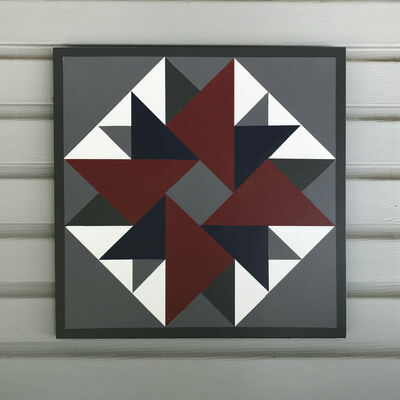 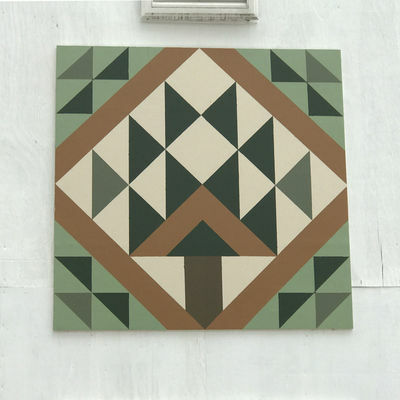 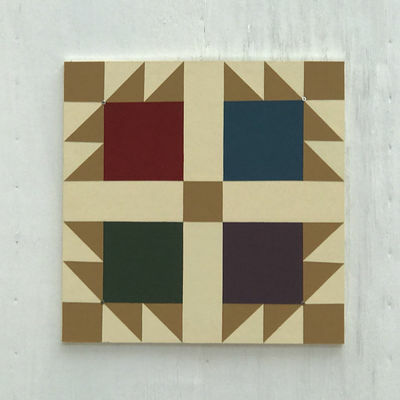 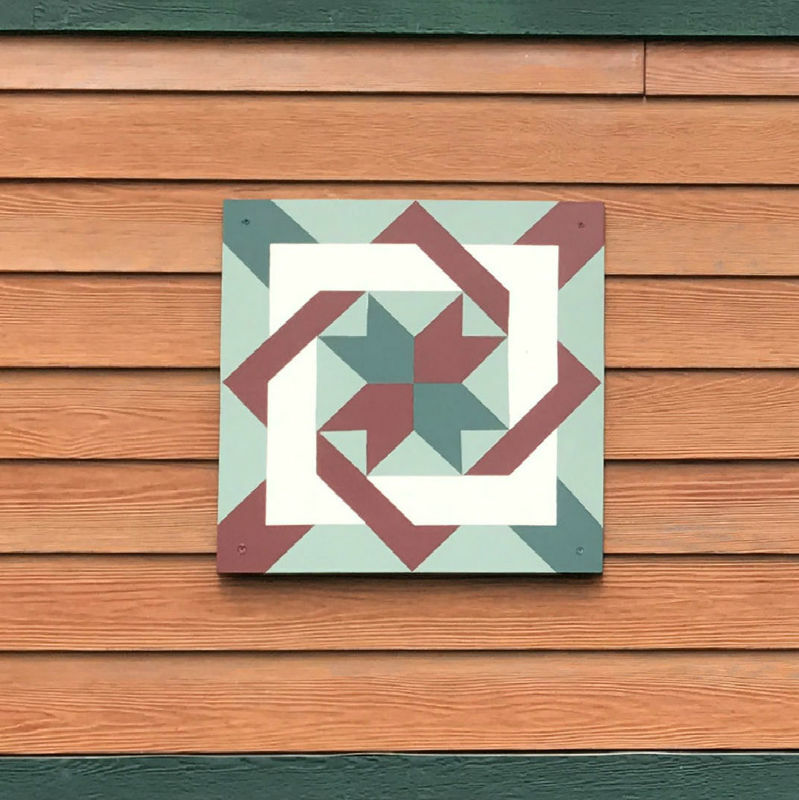 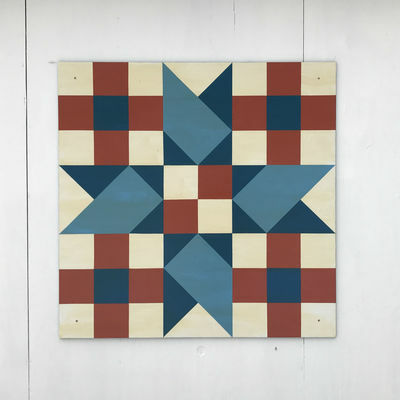 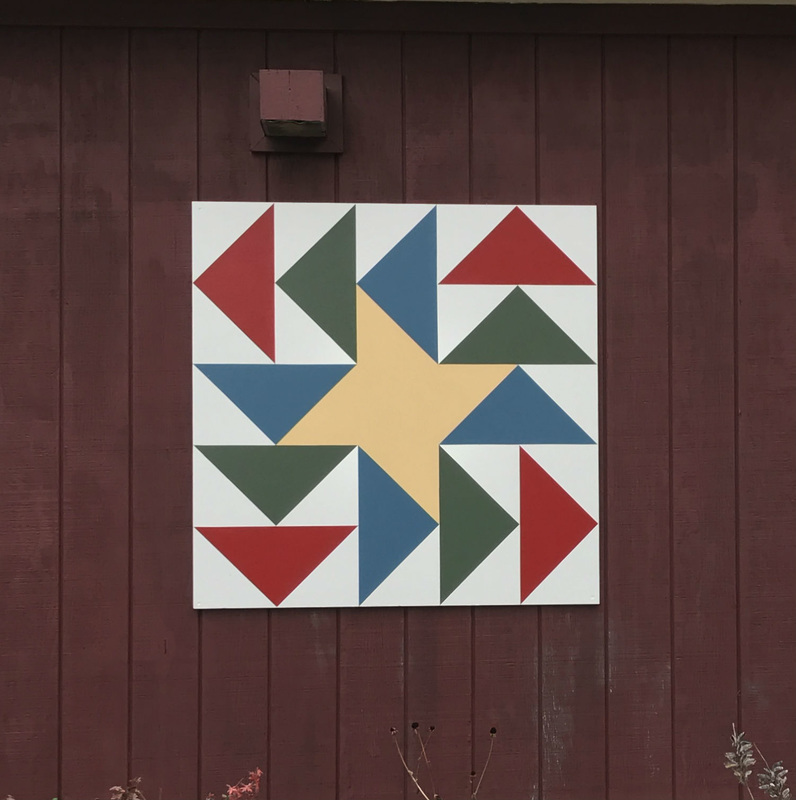 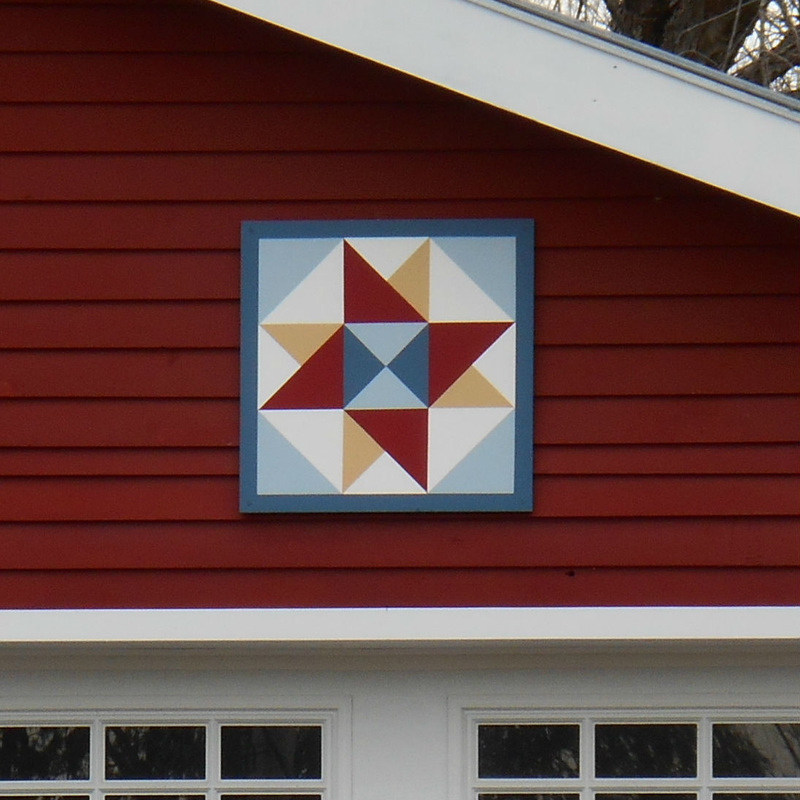 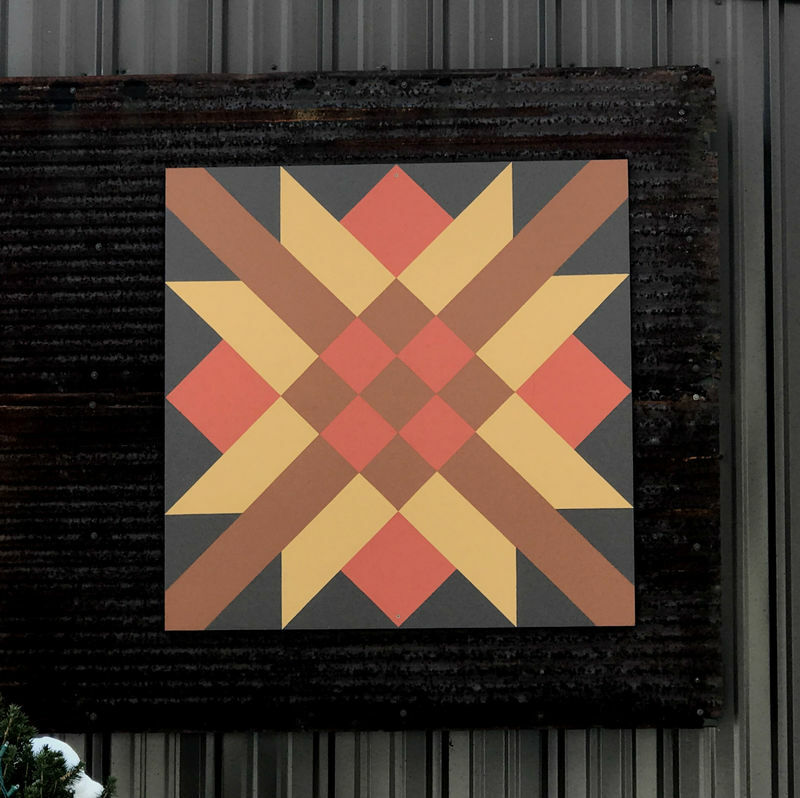 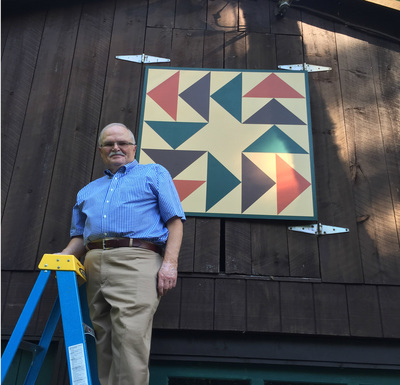 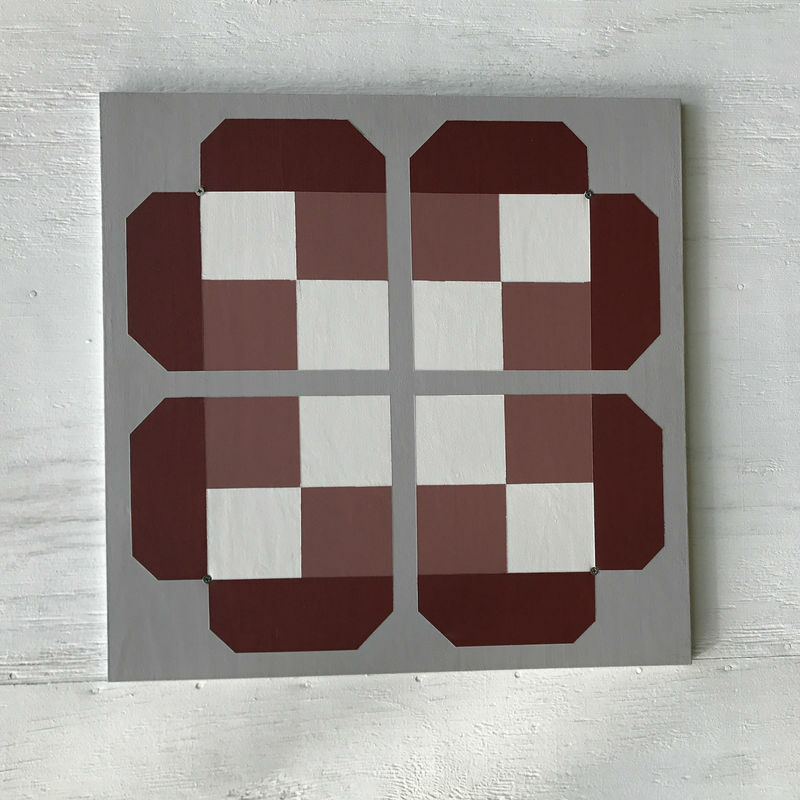 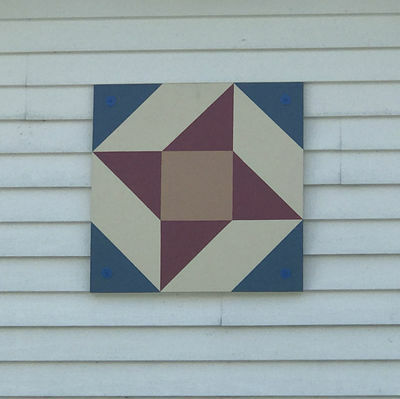 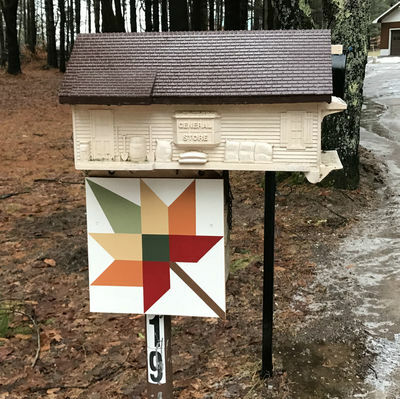 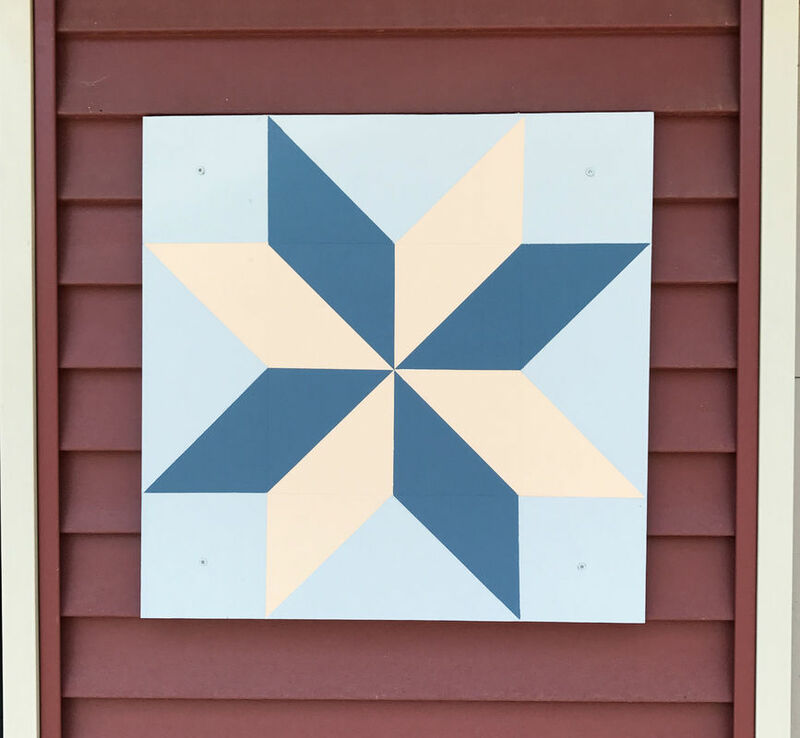 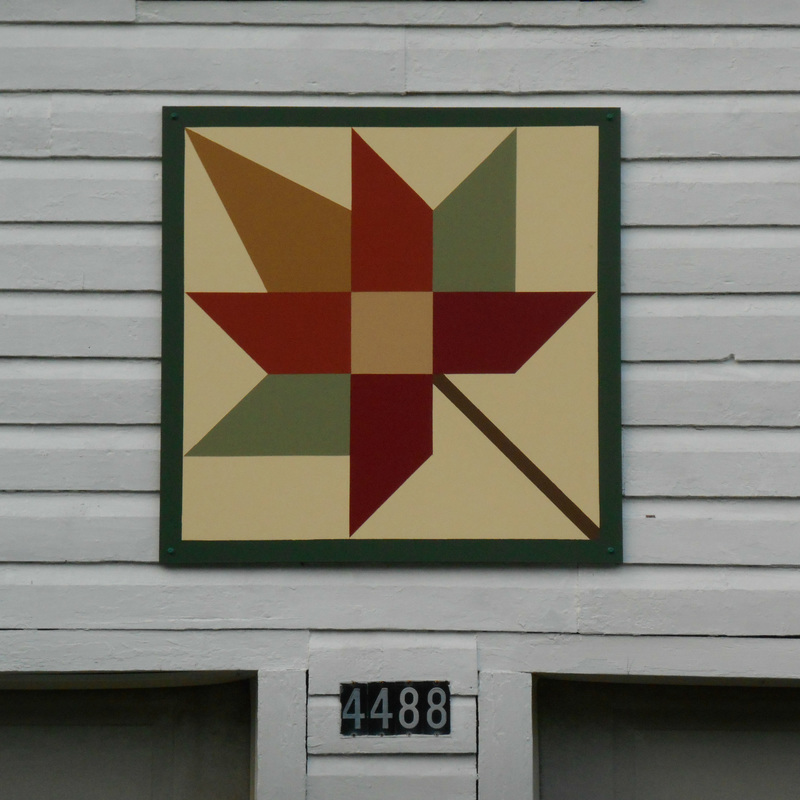 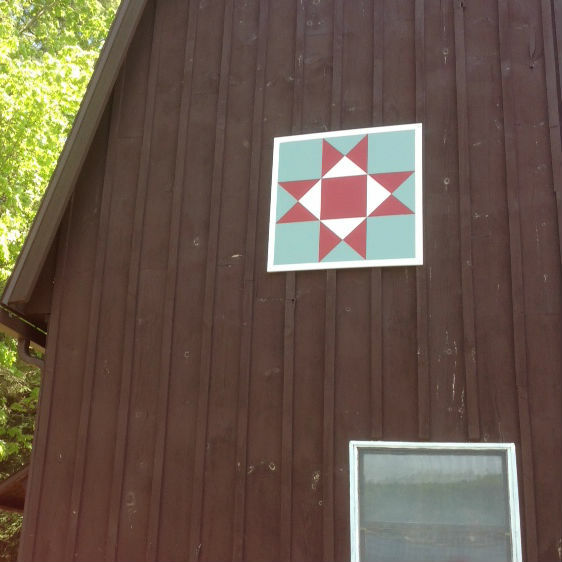 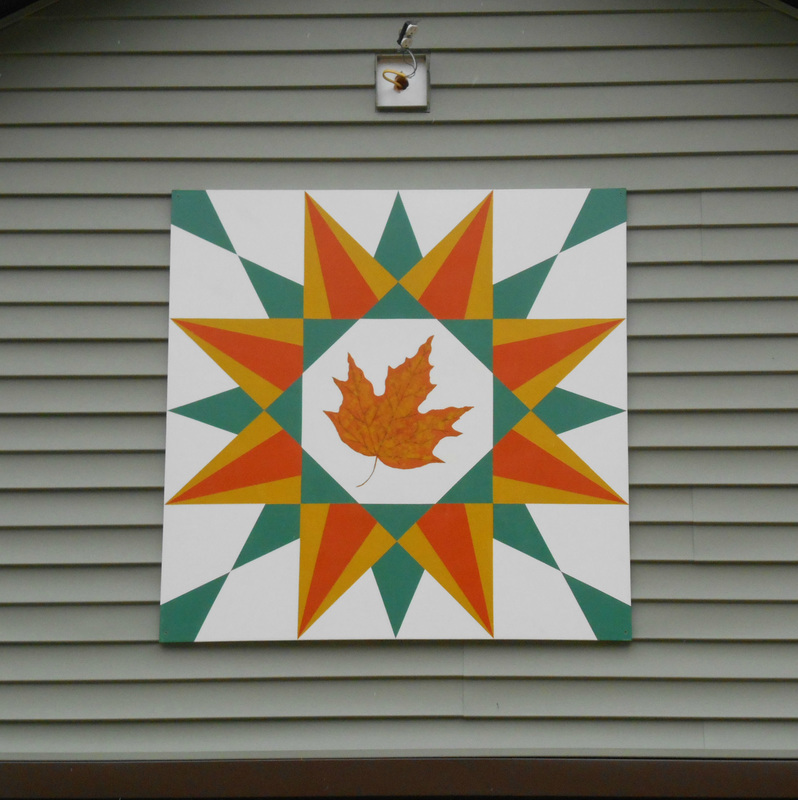 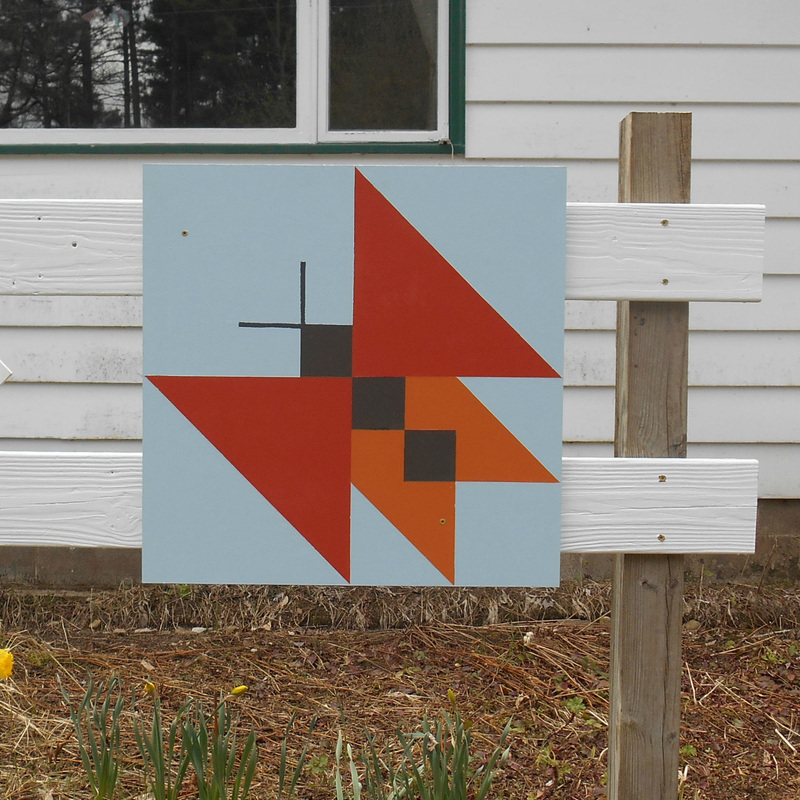 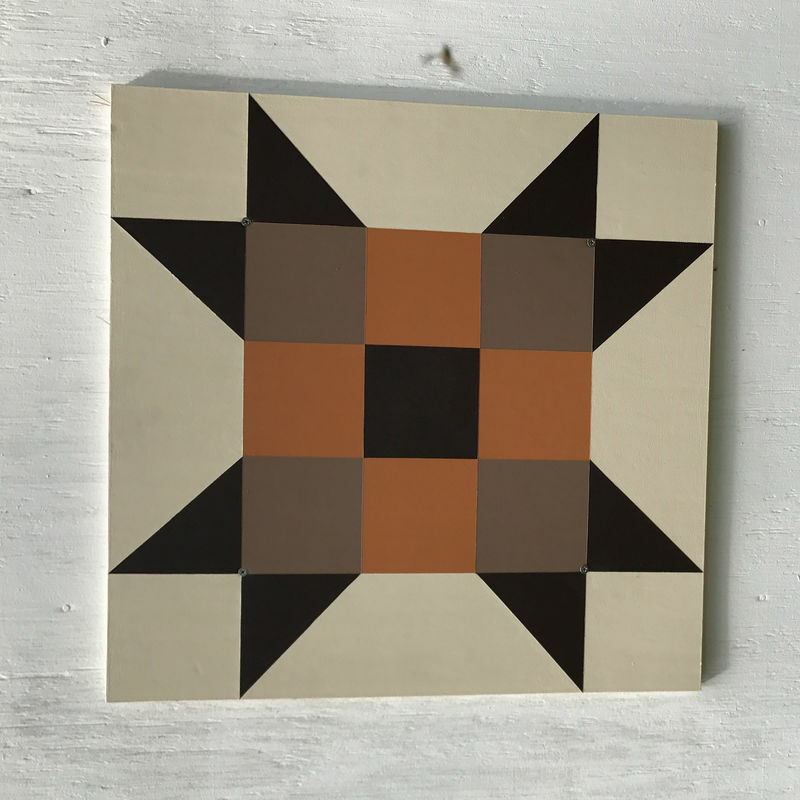 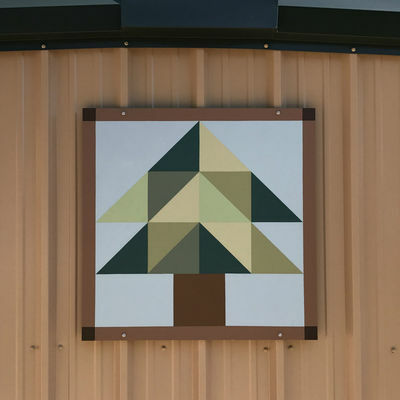 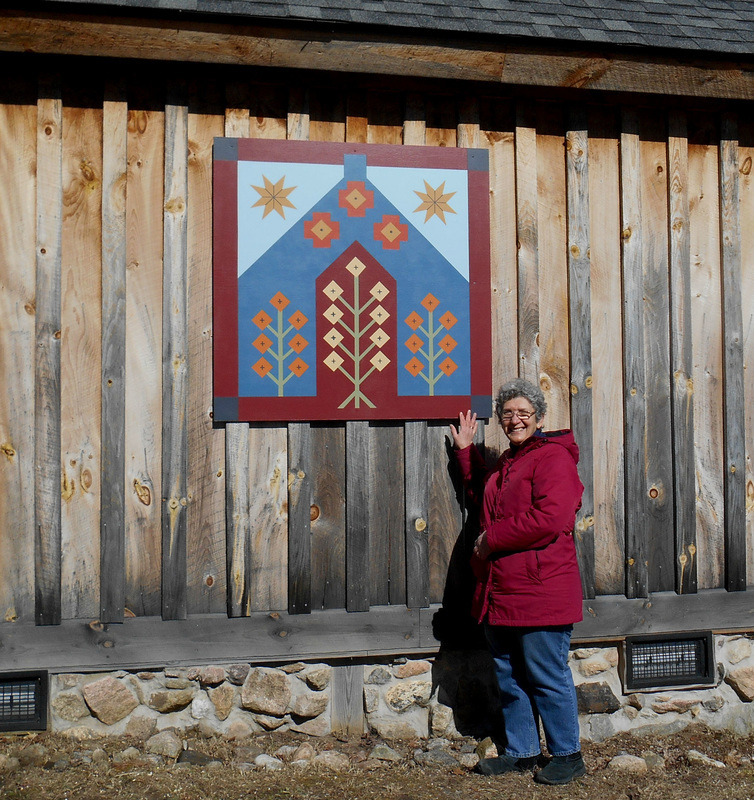 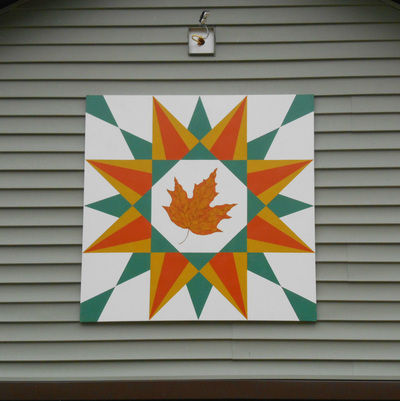 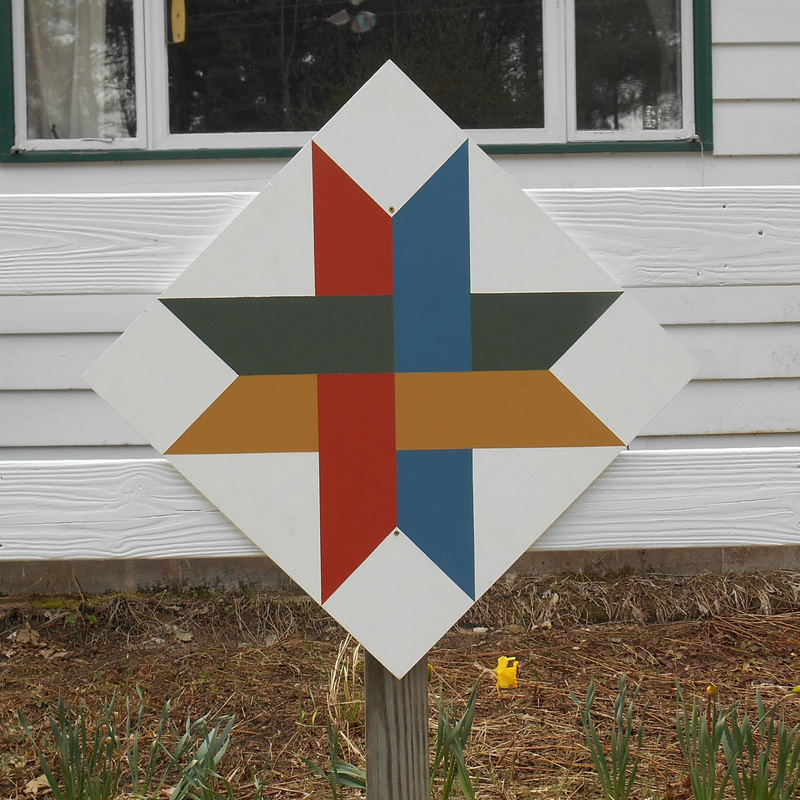 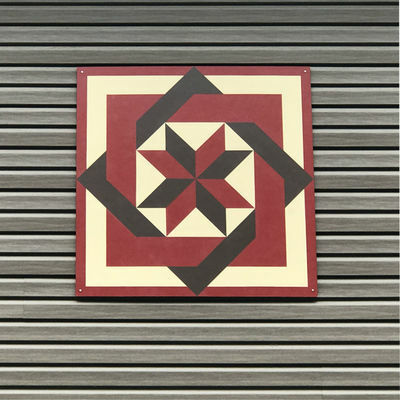 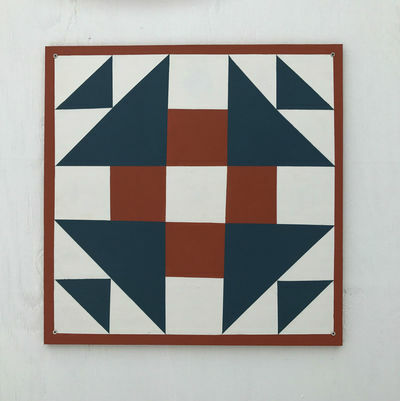 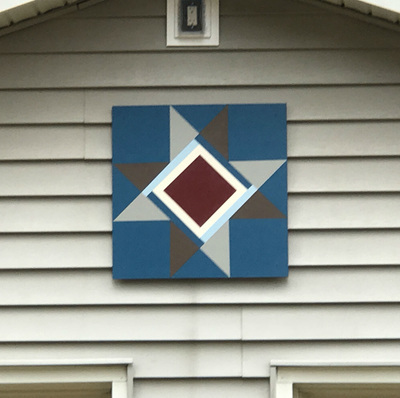 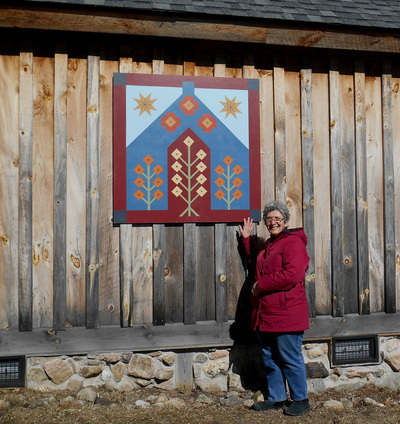 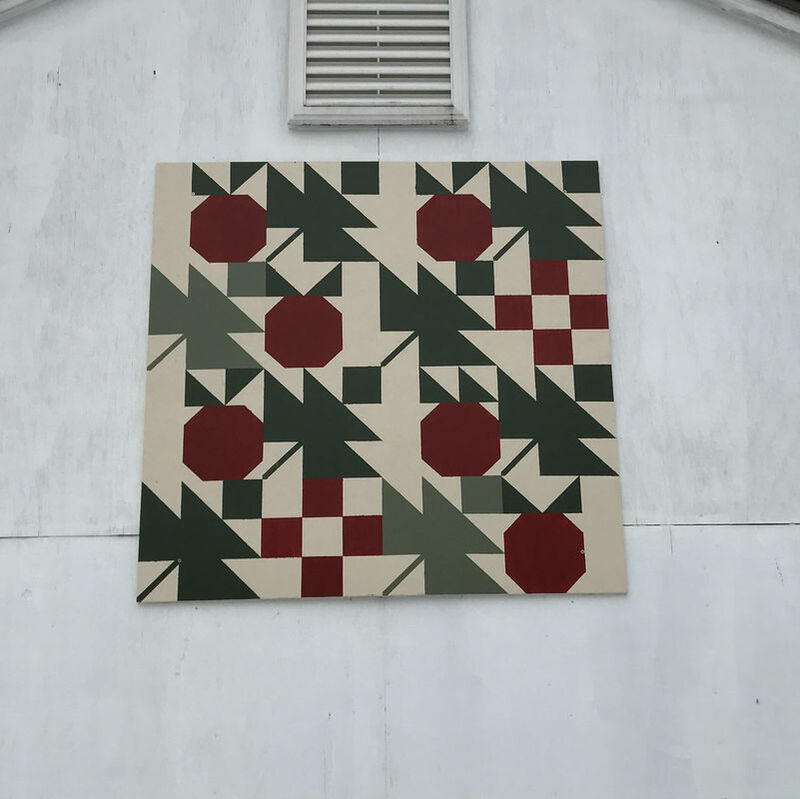 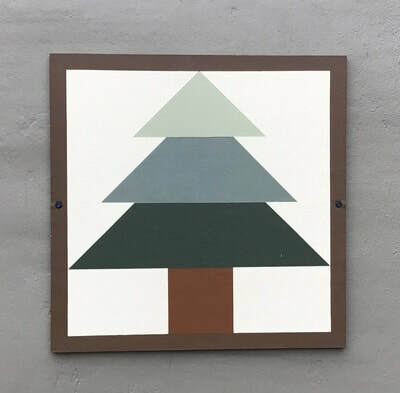 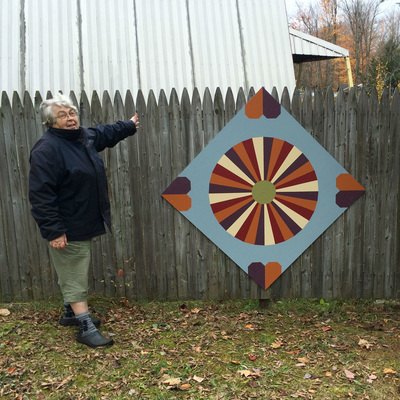 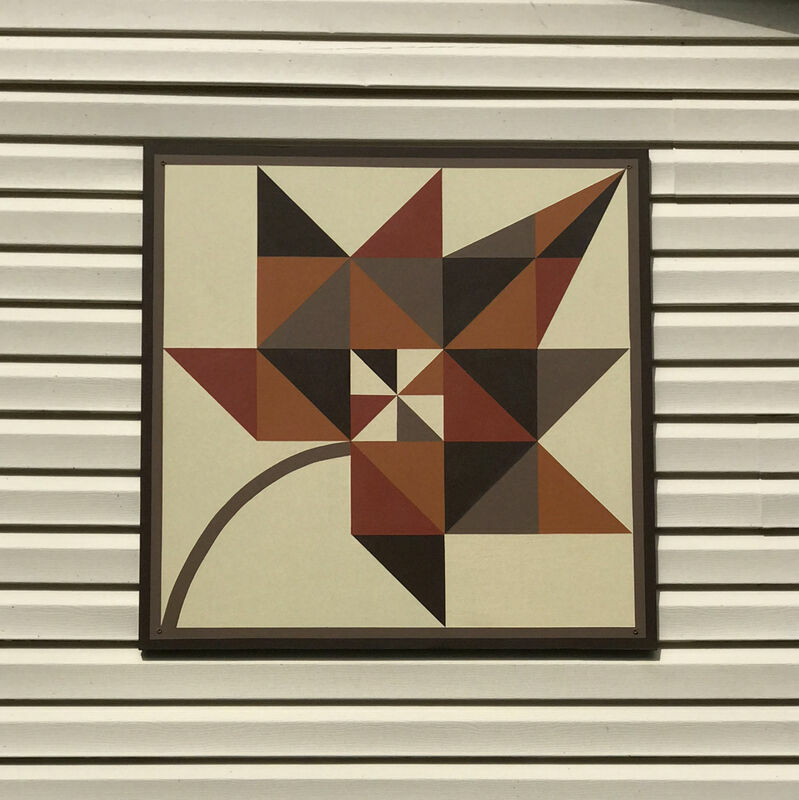 In January 2015 the first barn quilt done through the town-school collaborative project was installed on the Colton Museum. 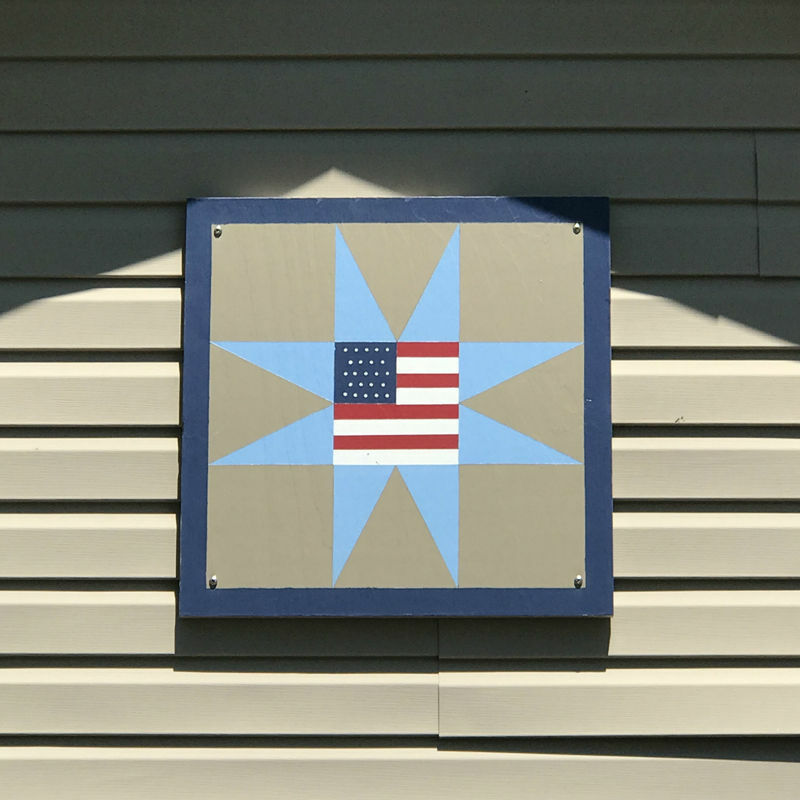 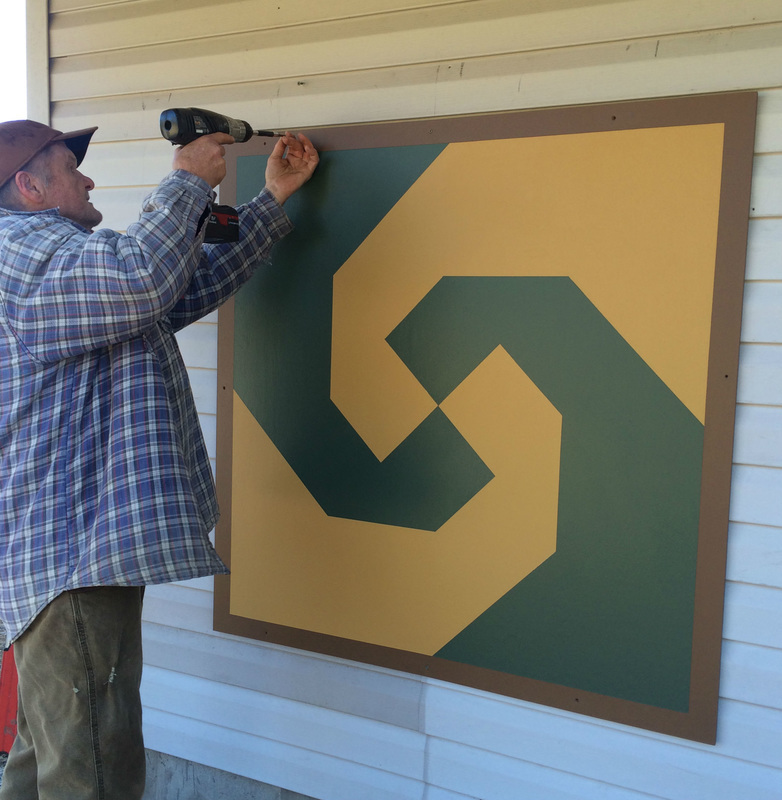 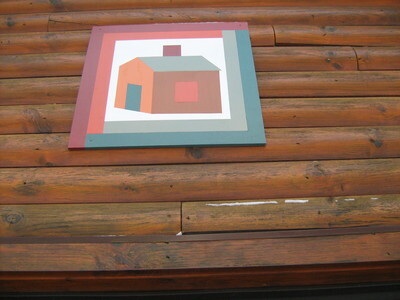 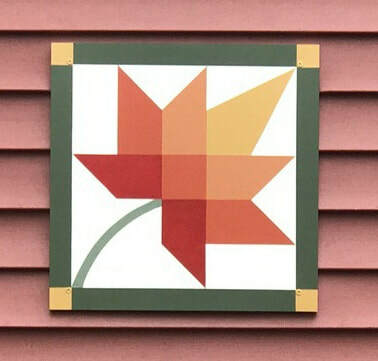 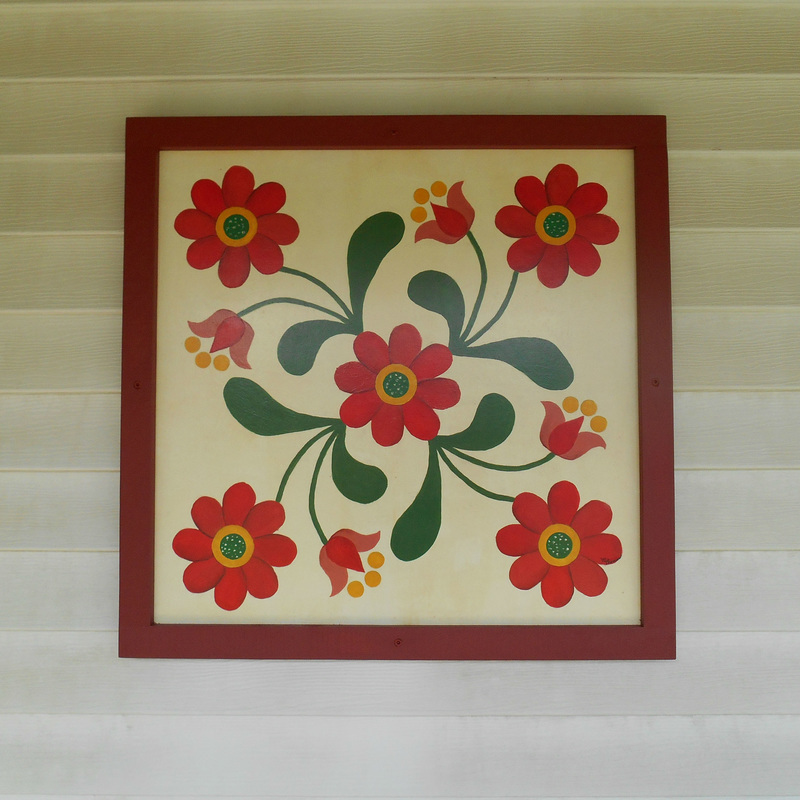 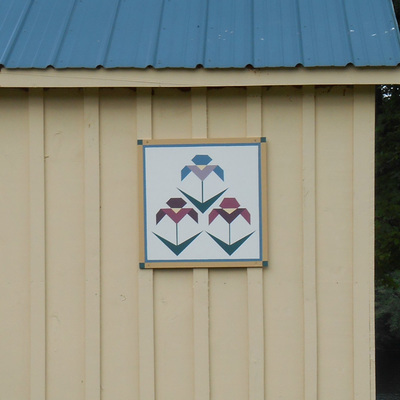 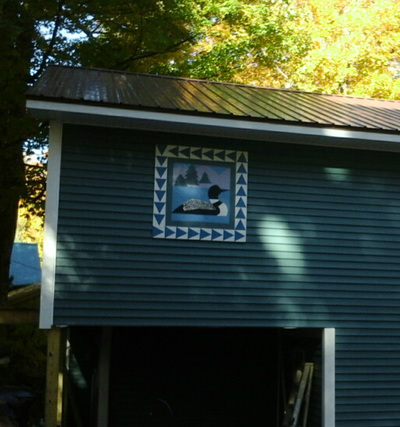 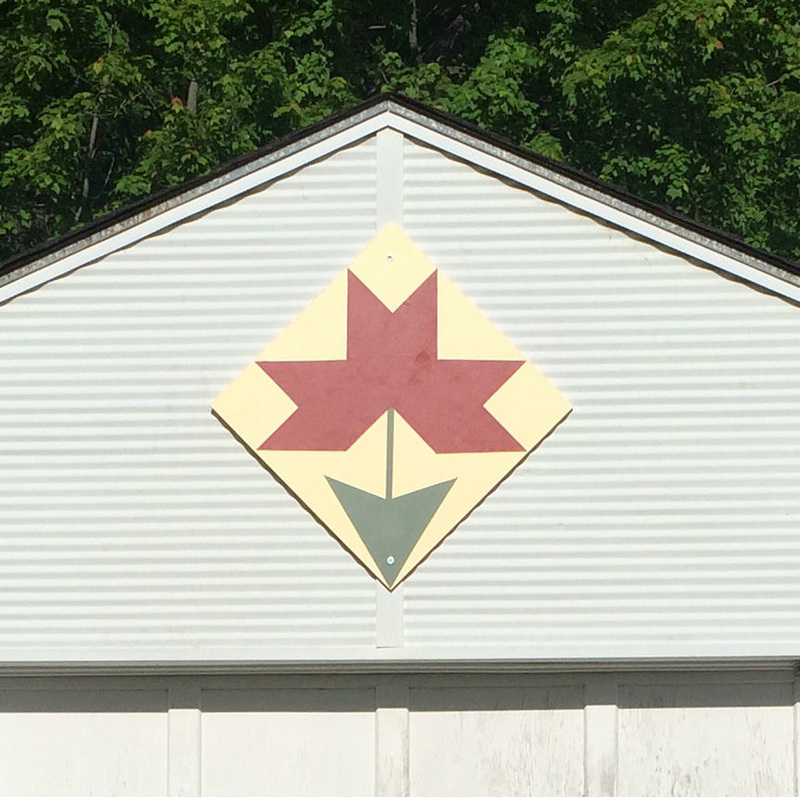 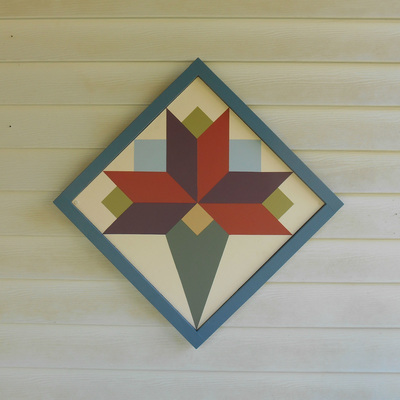 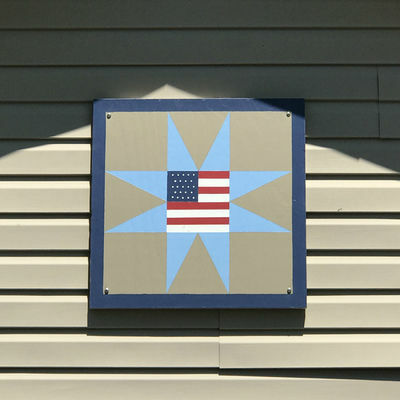 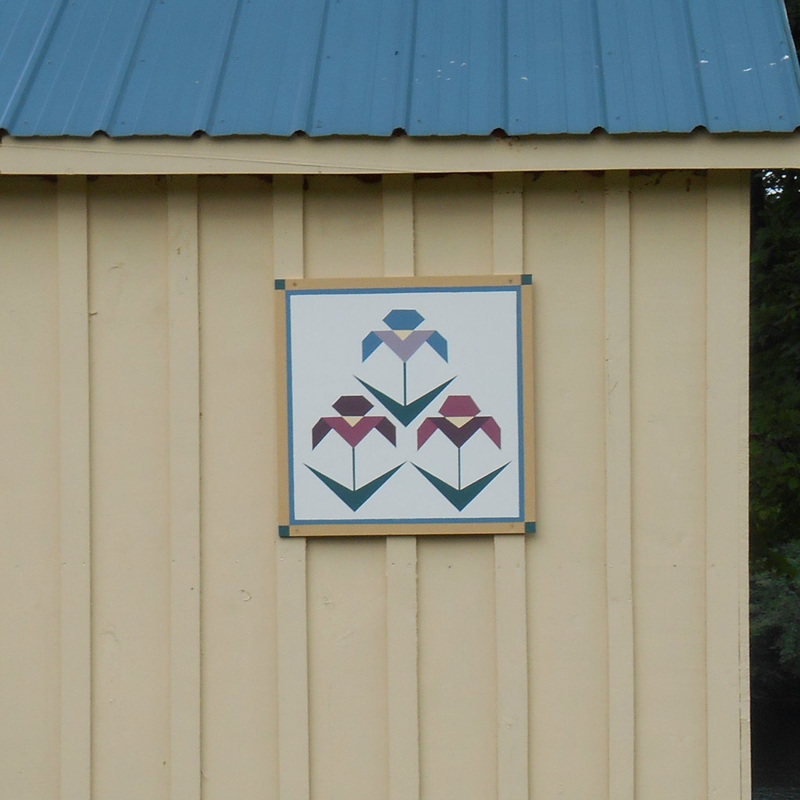 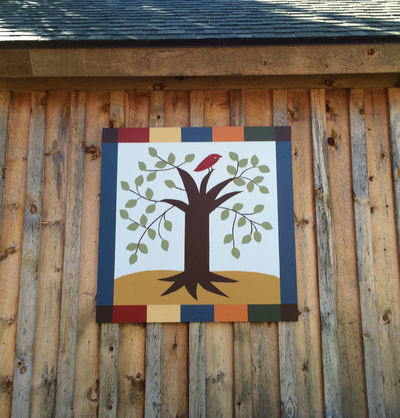 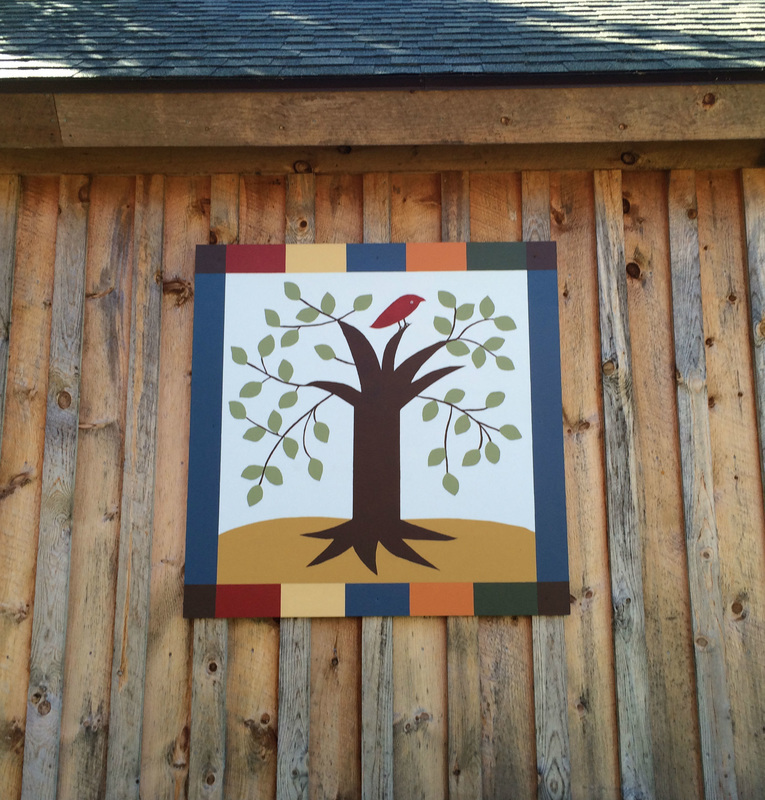 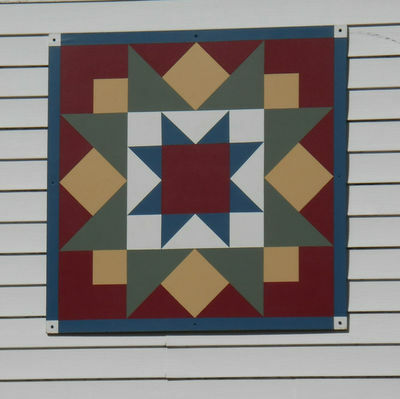 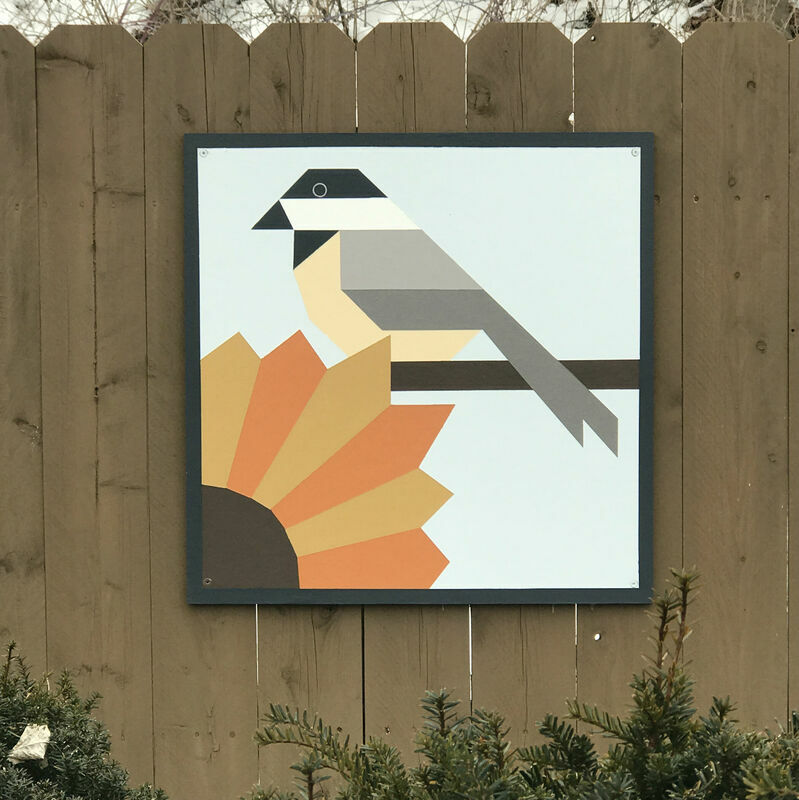 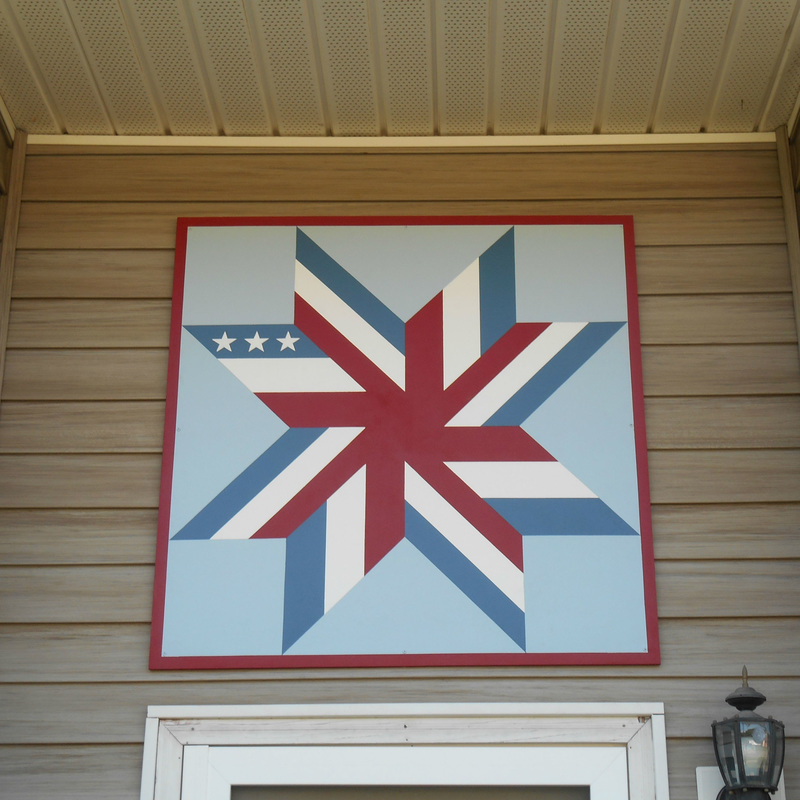 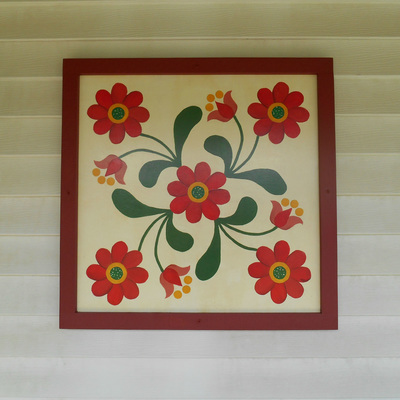 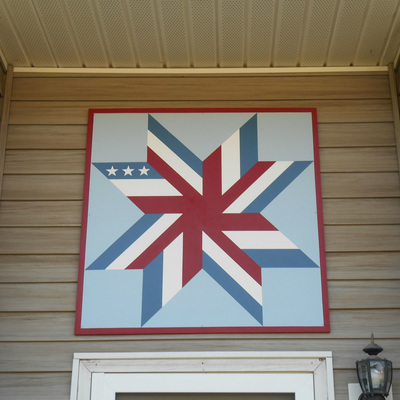 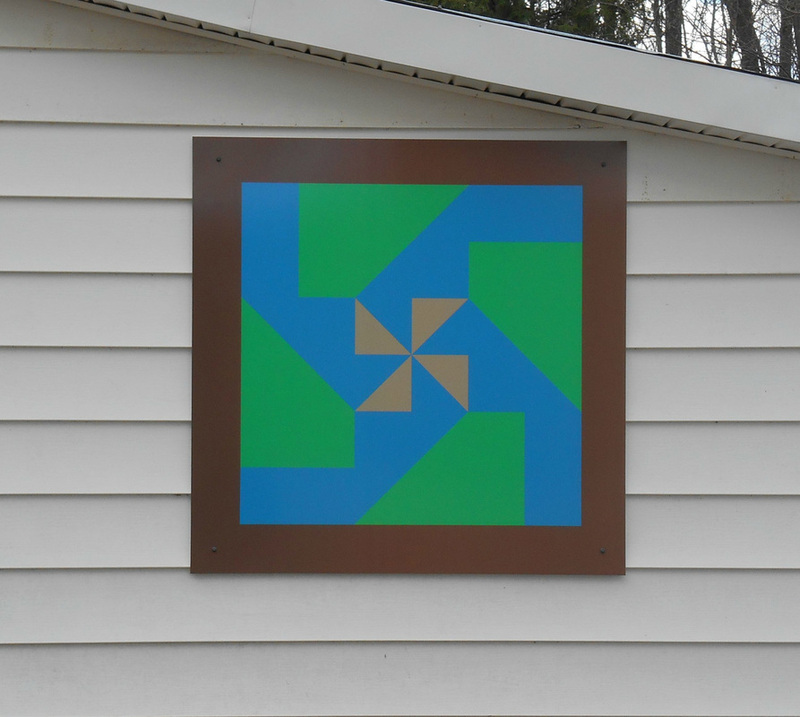 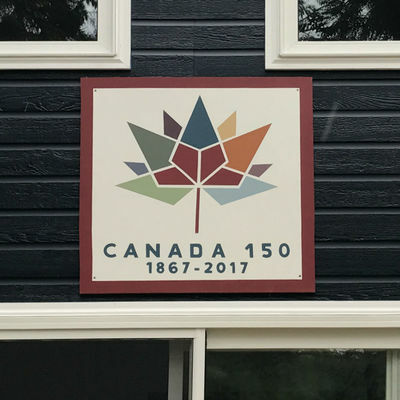 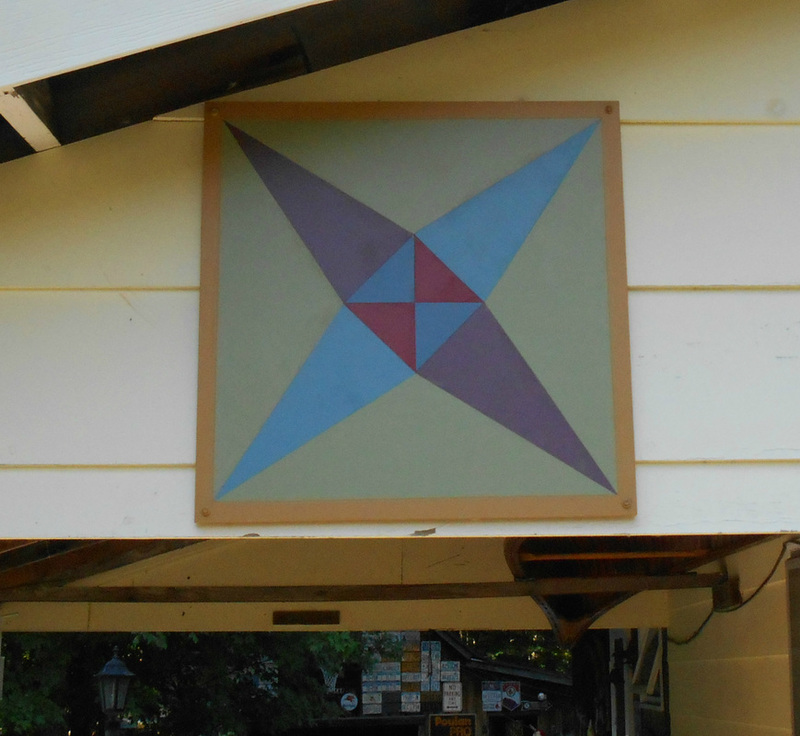 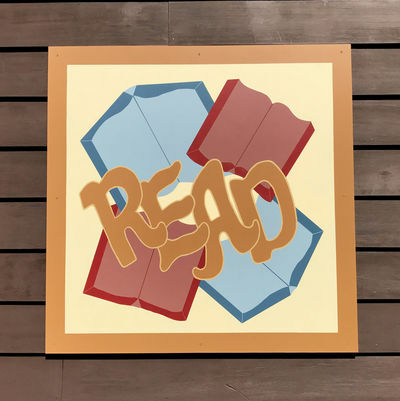 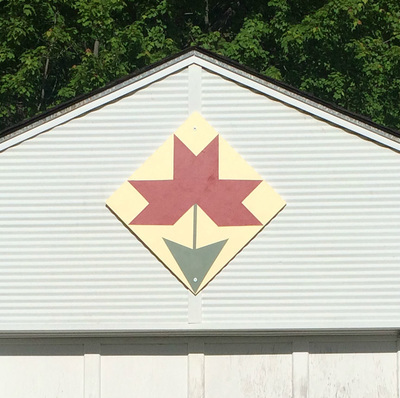 Photos of barn quilts throughout town are added as installed and/or as photos become available. 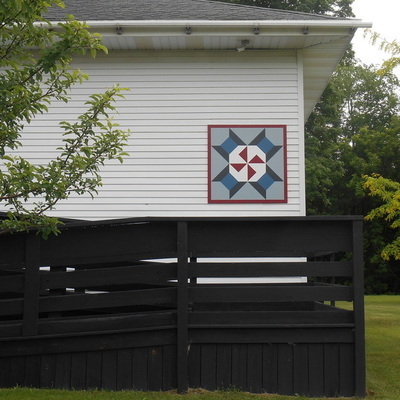 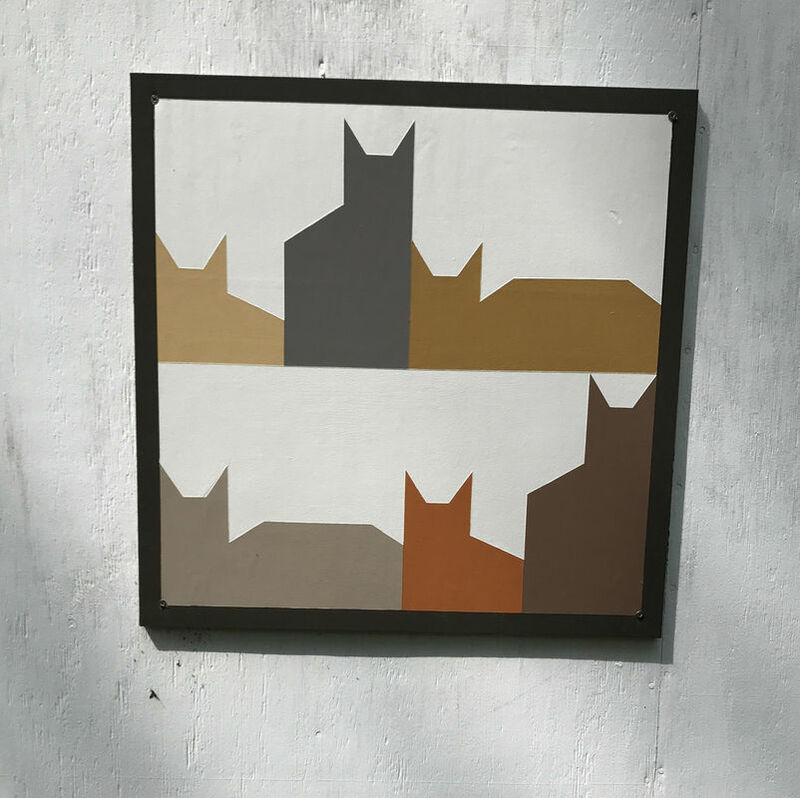 By hovering over each photo you can see the location and a brief description of the barn quilt. 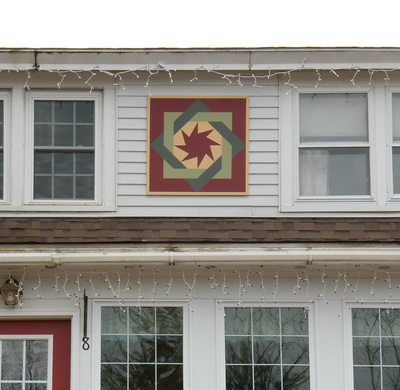 Click on the photo to enlarge it for full view. 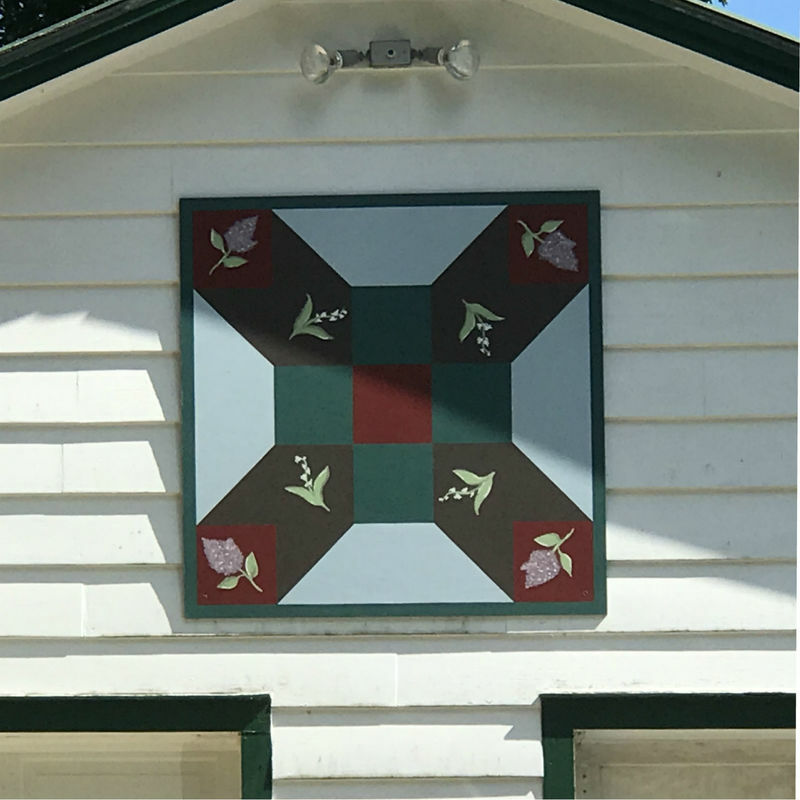 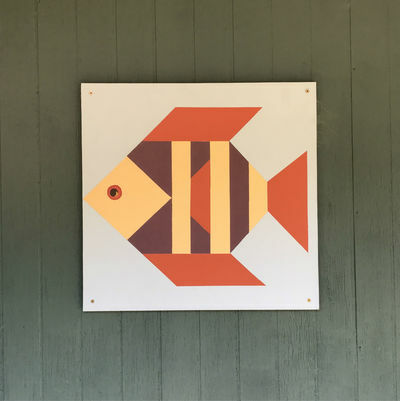 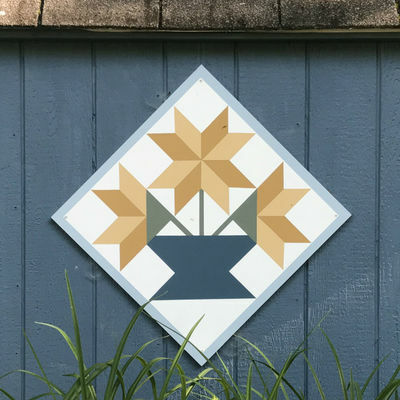 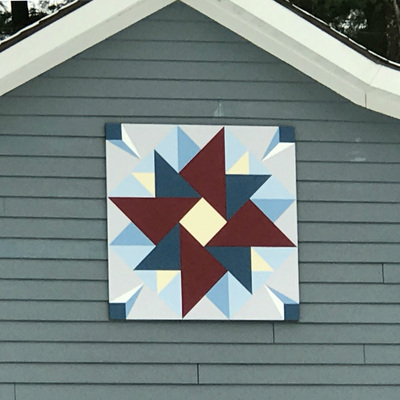 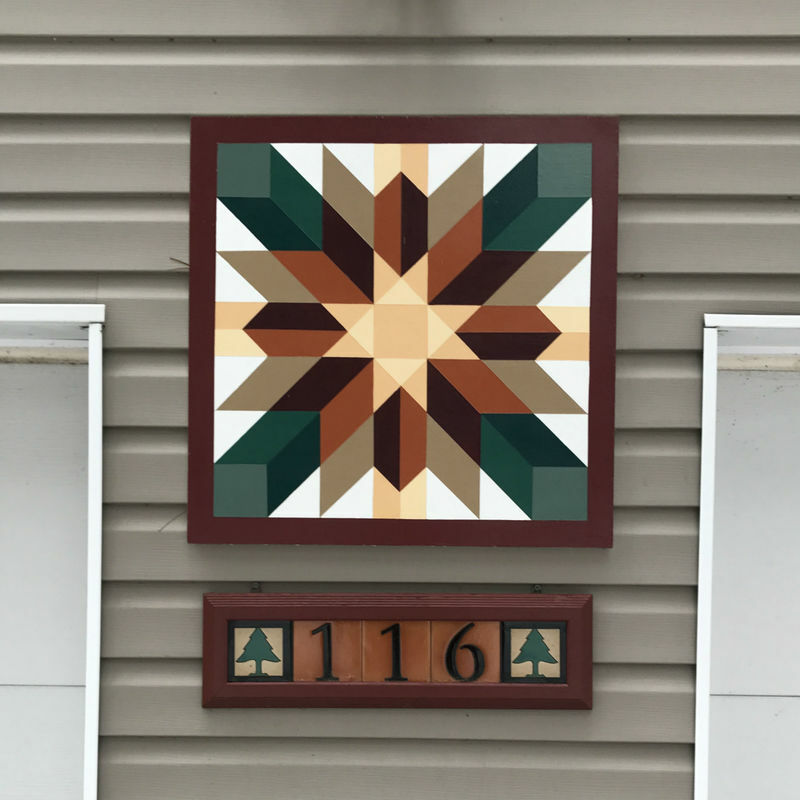 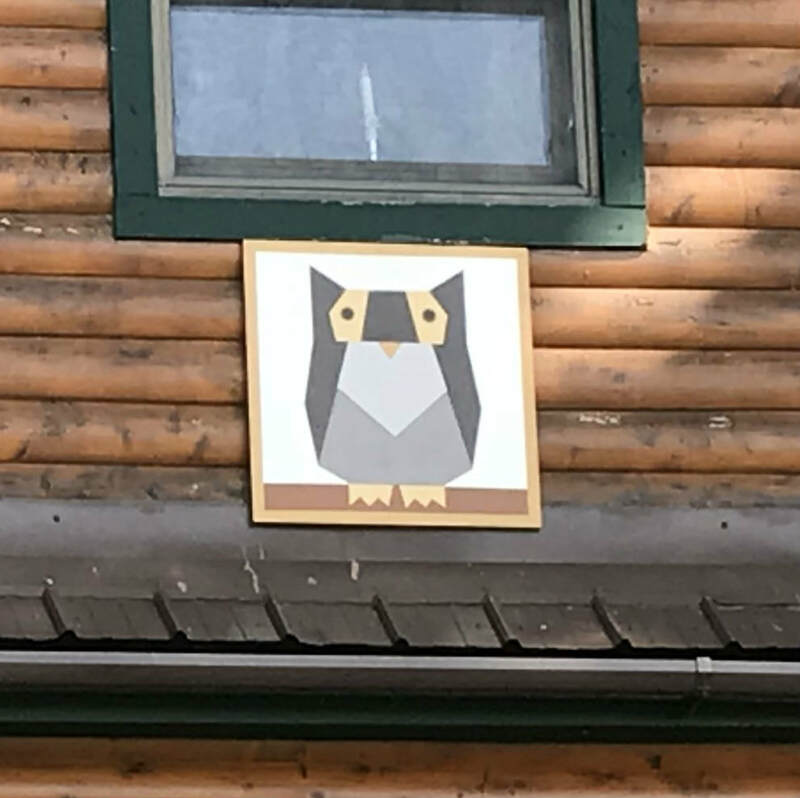 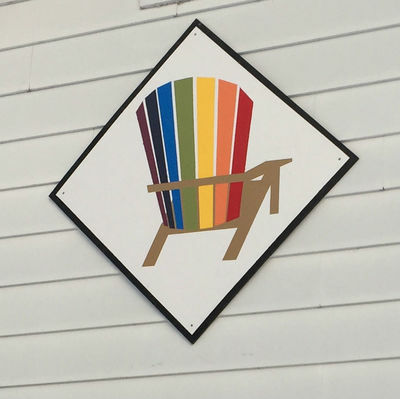 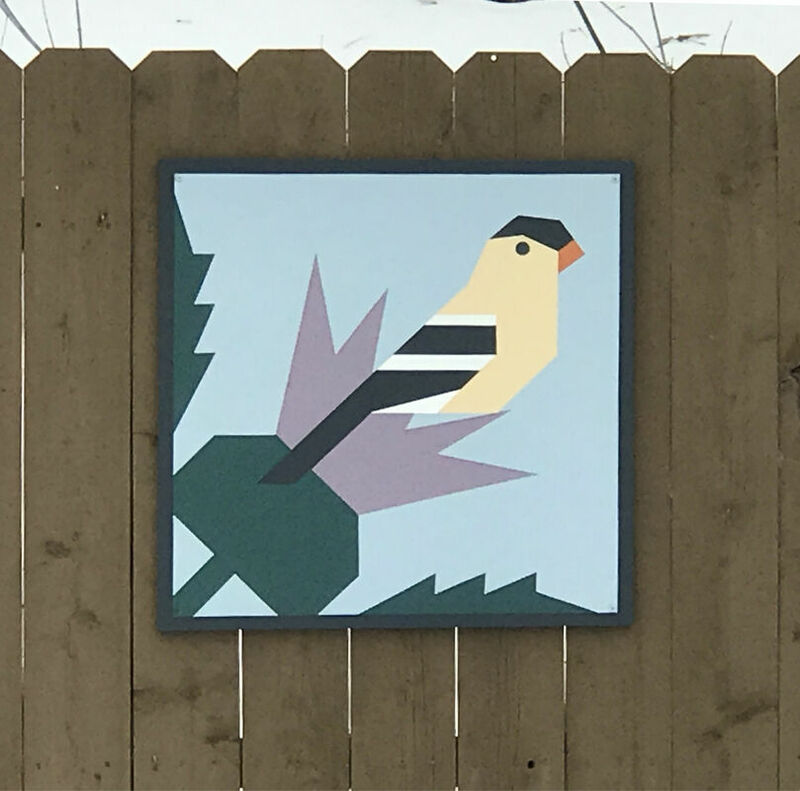 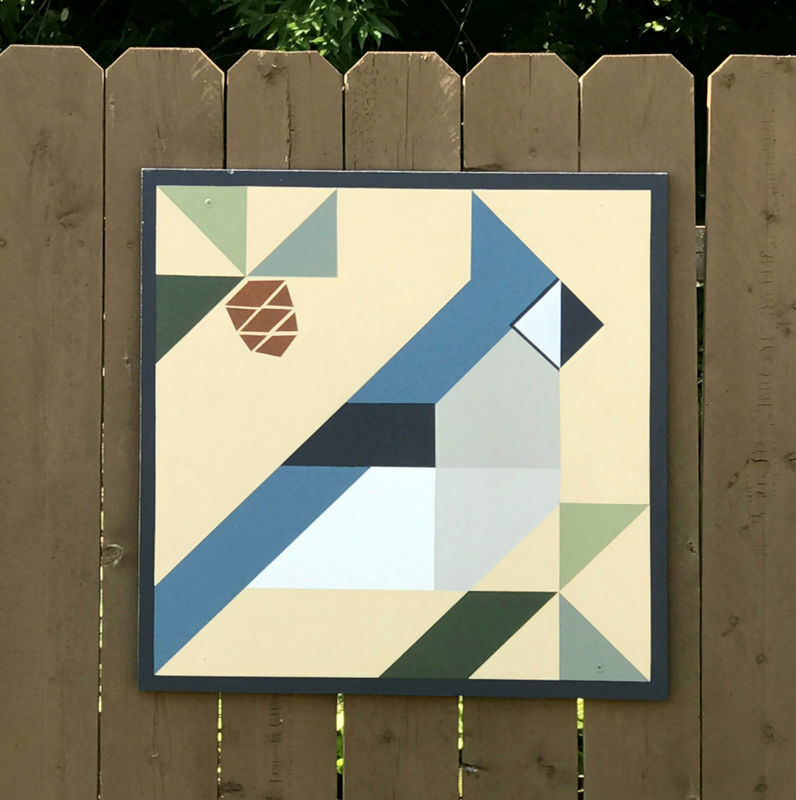 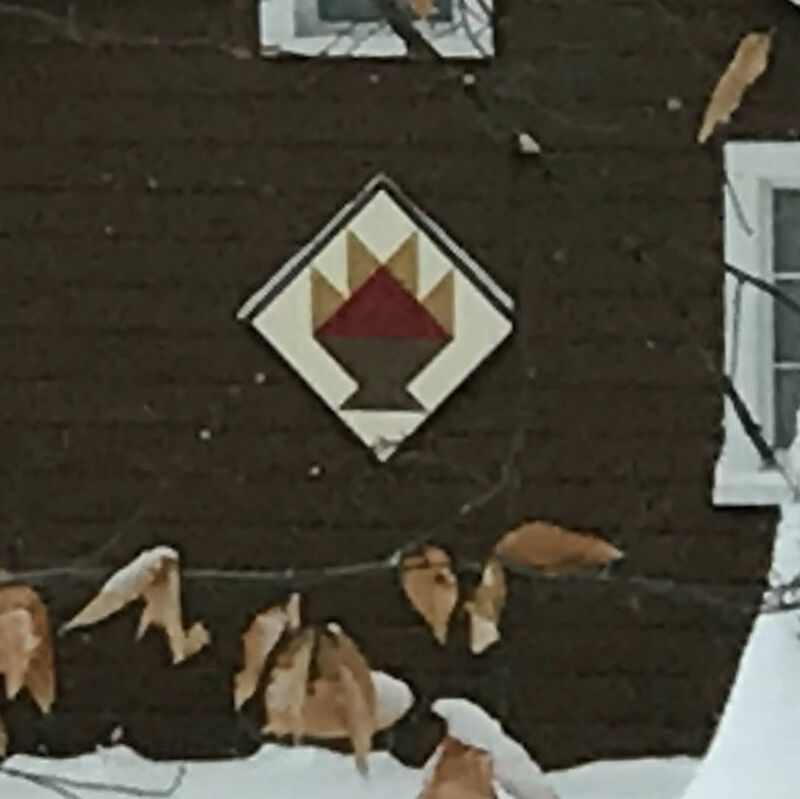 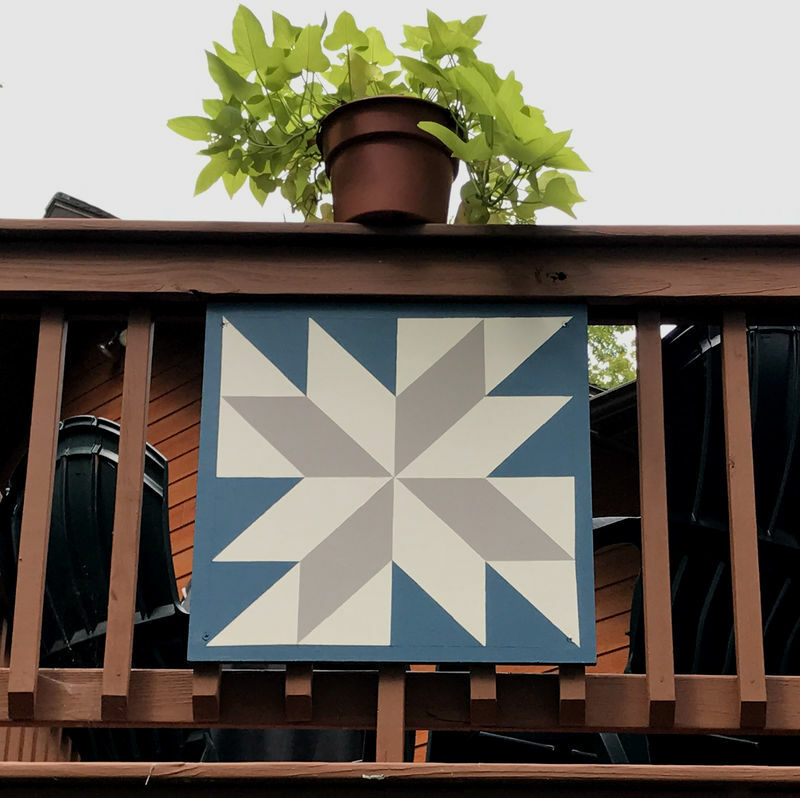 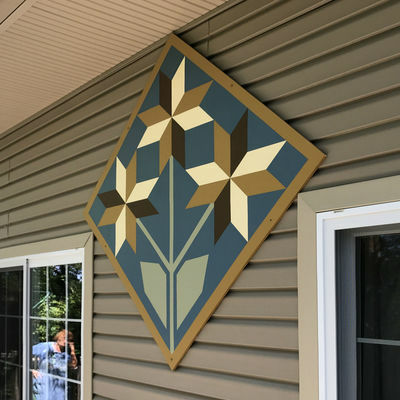 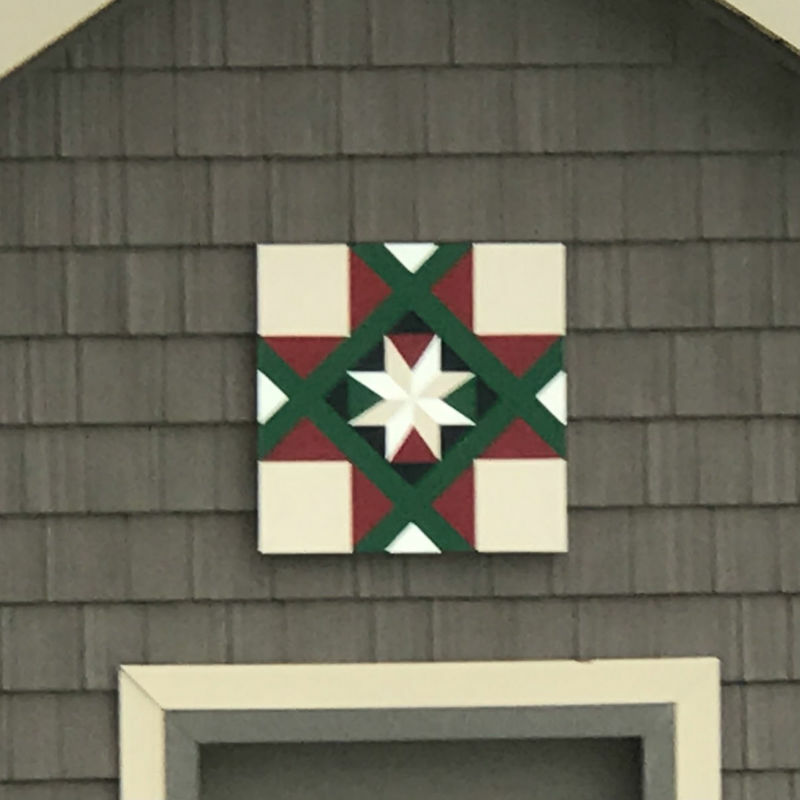 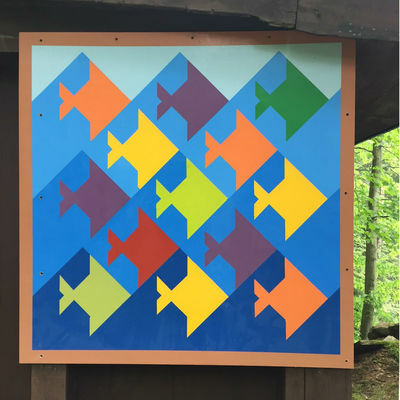 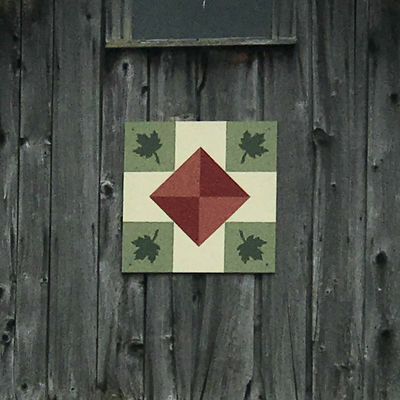 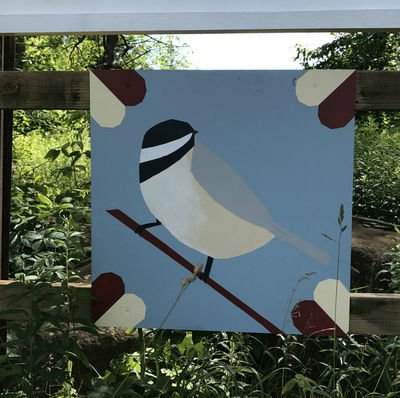 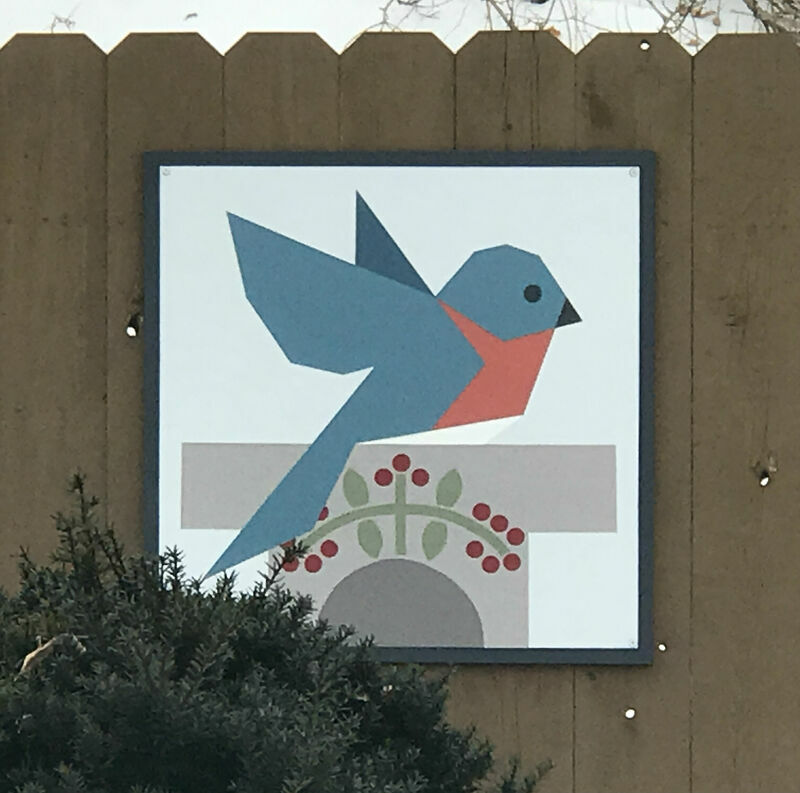 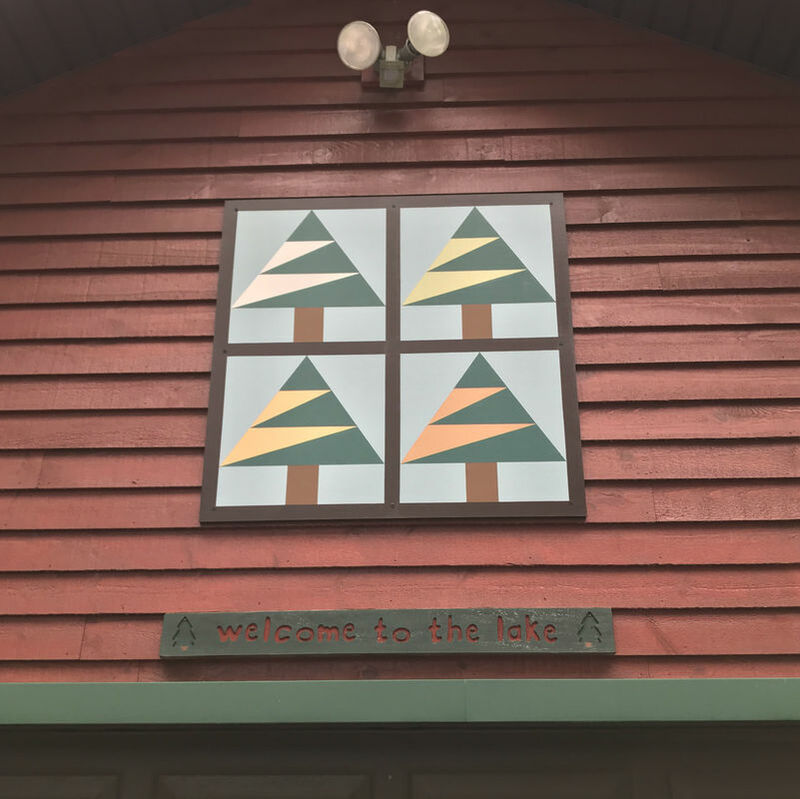 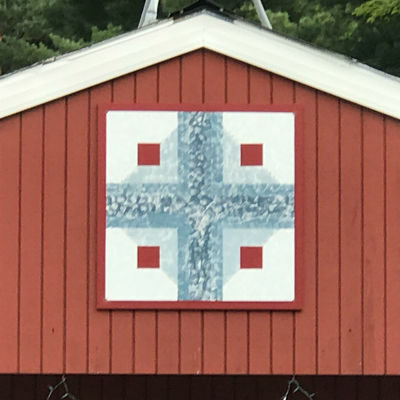 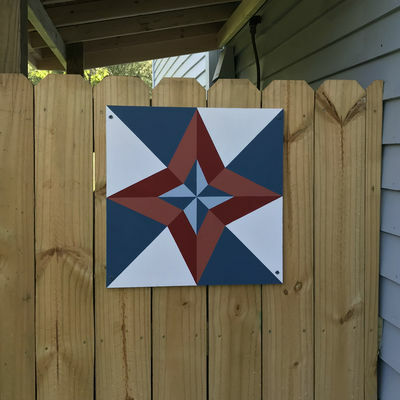 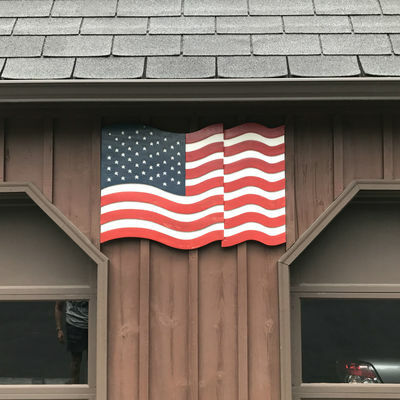 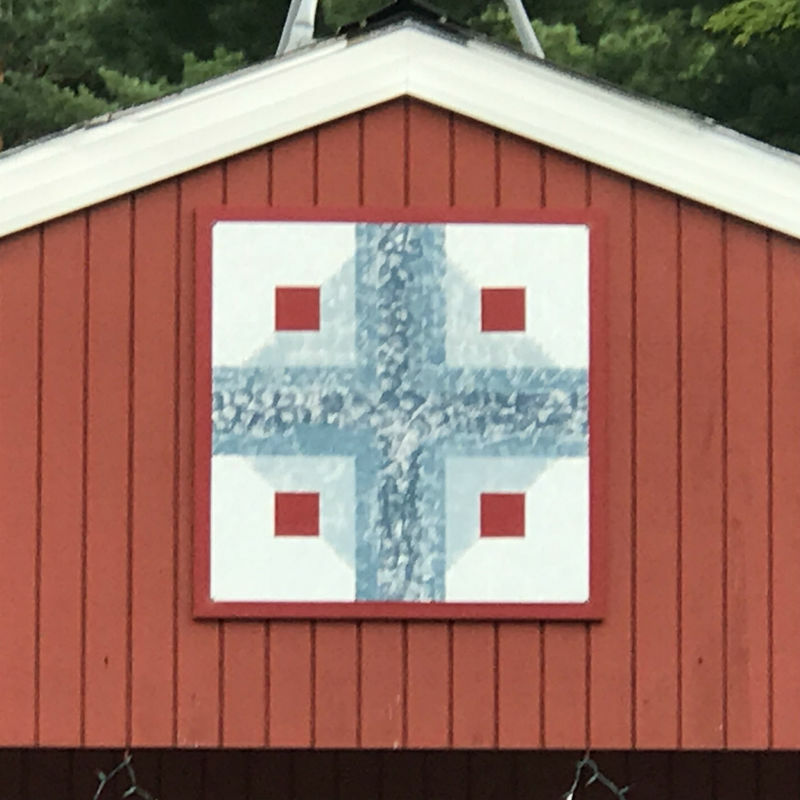 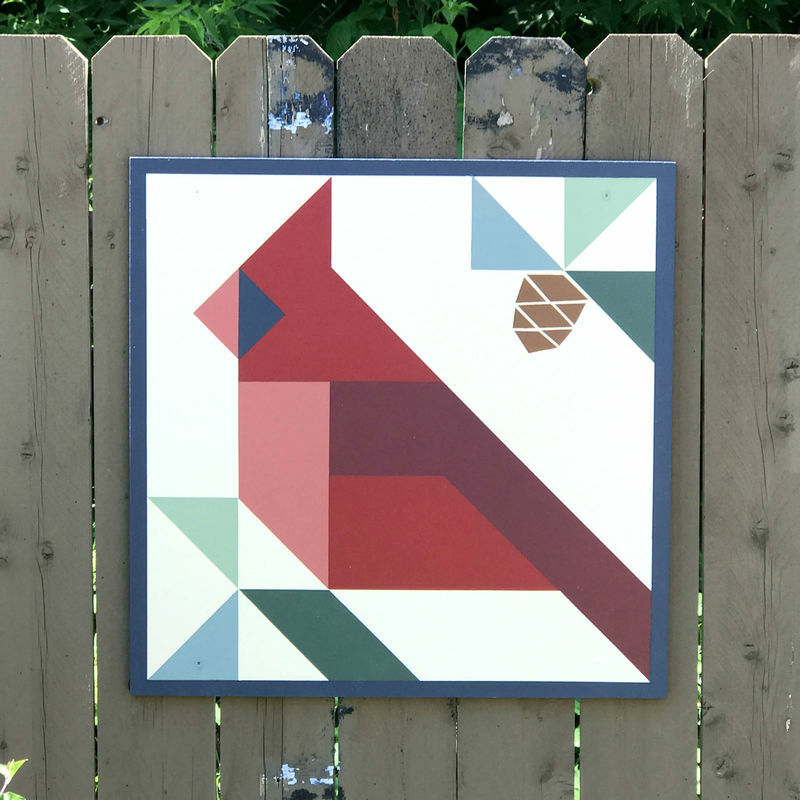 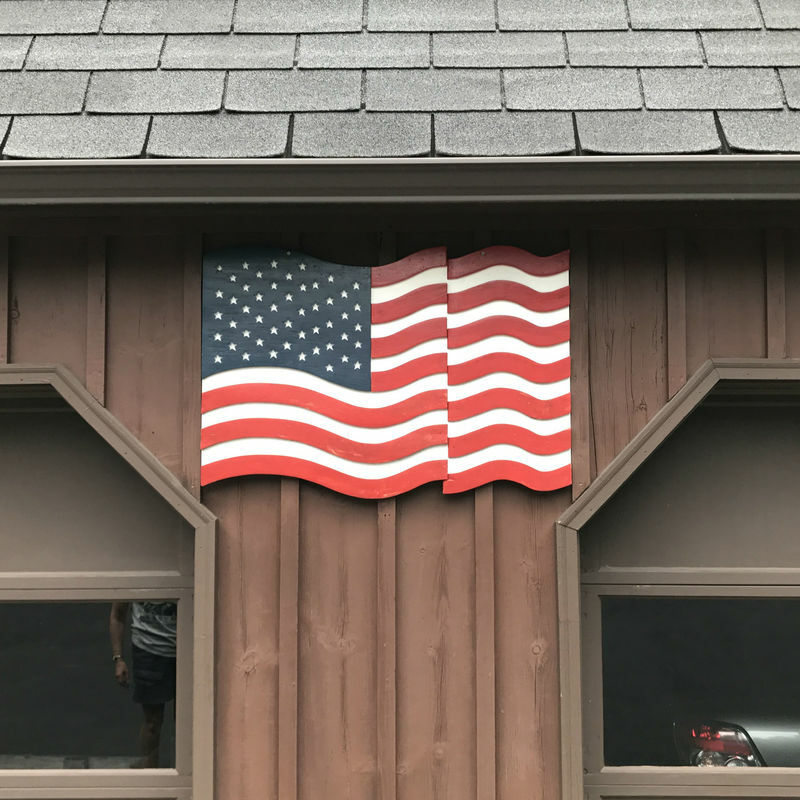 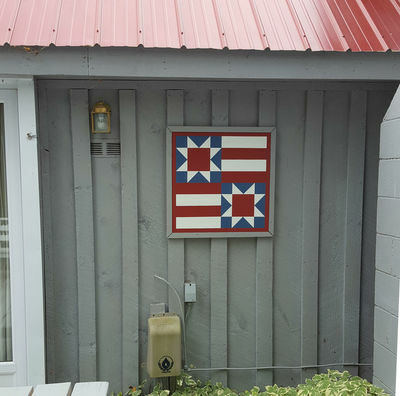 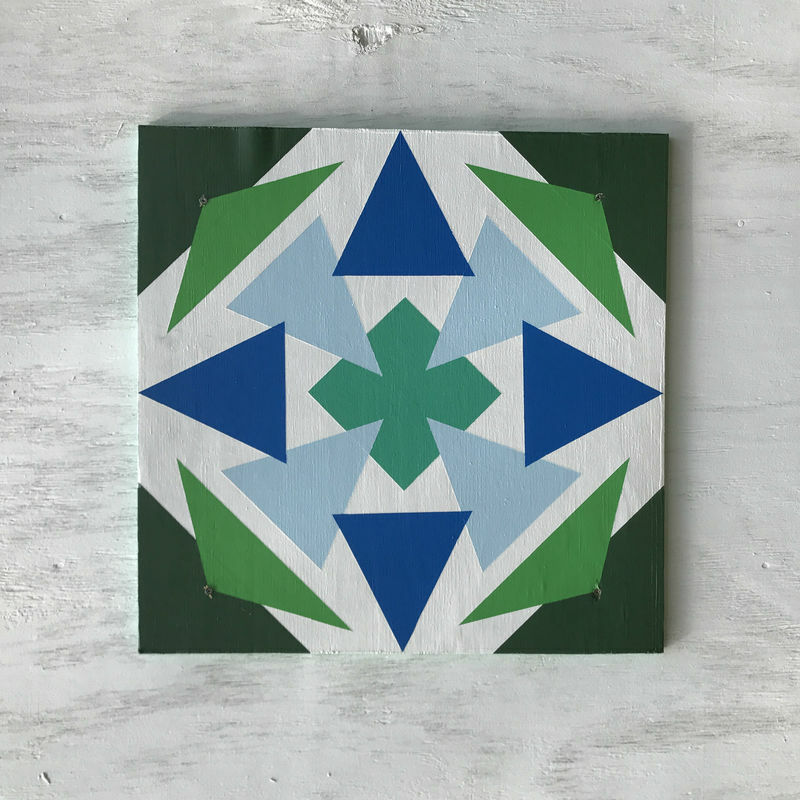 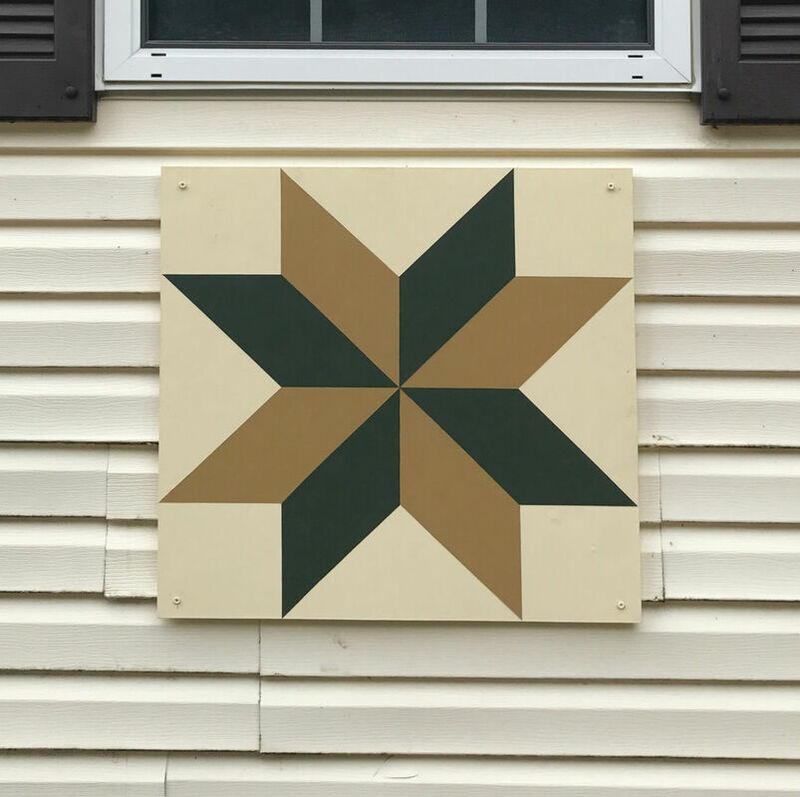 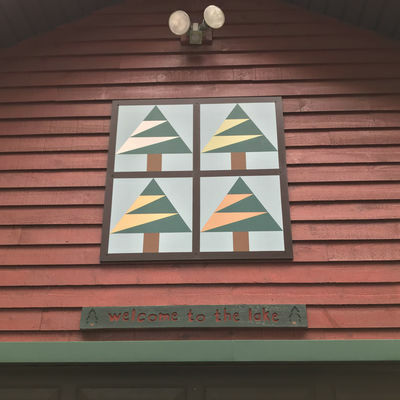 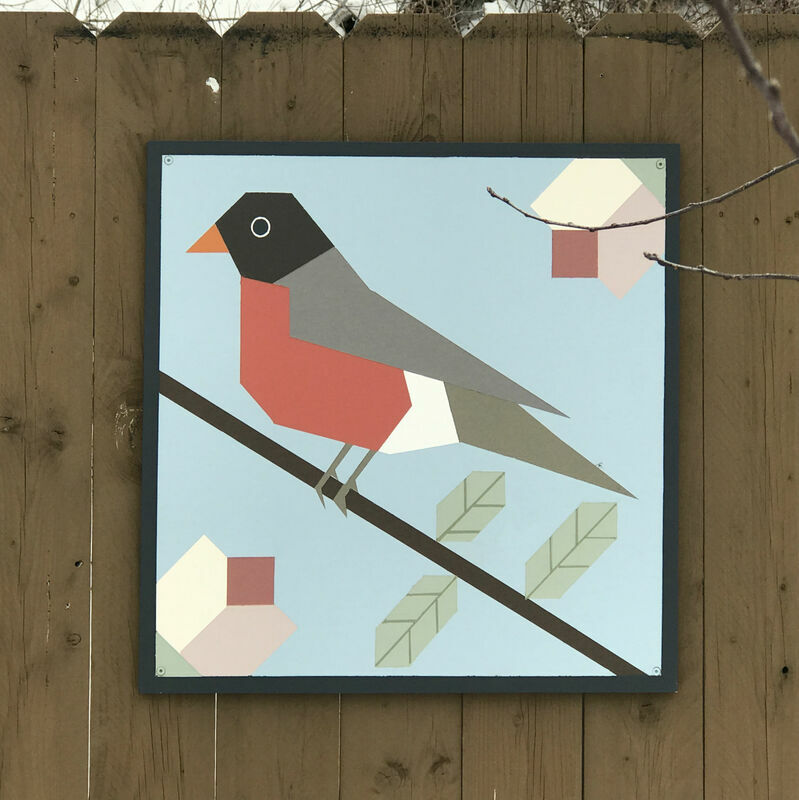 Please tell us about other barn quilts in town visible from land or water; and let us know if you have a barn quilt up and want a photo added to the website page. 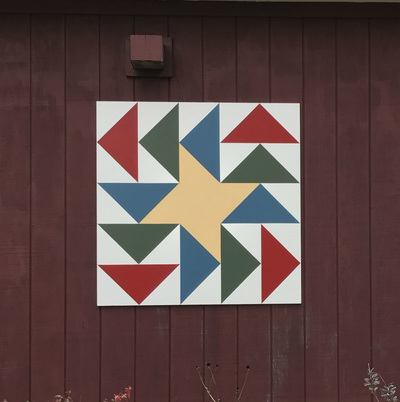 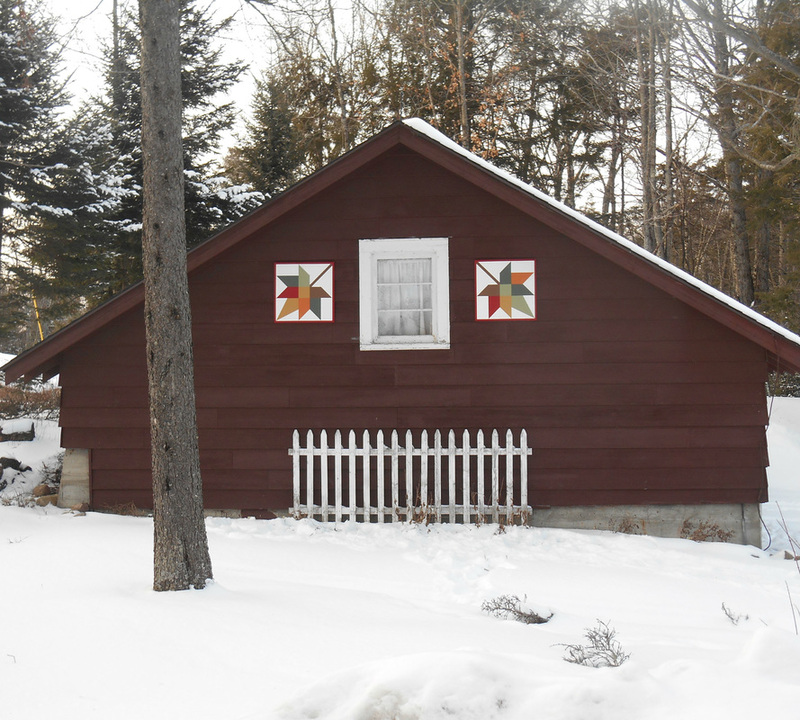 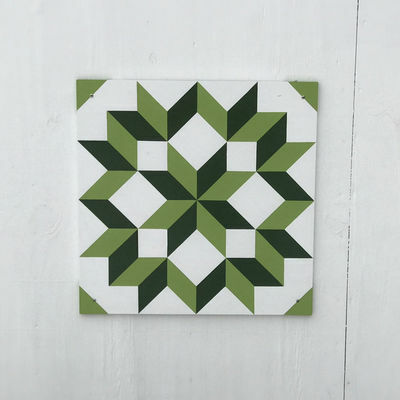 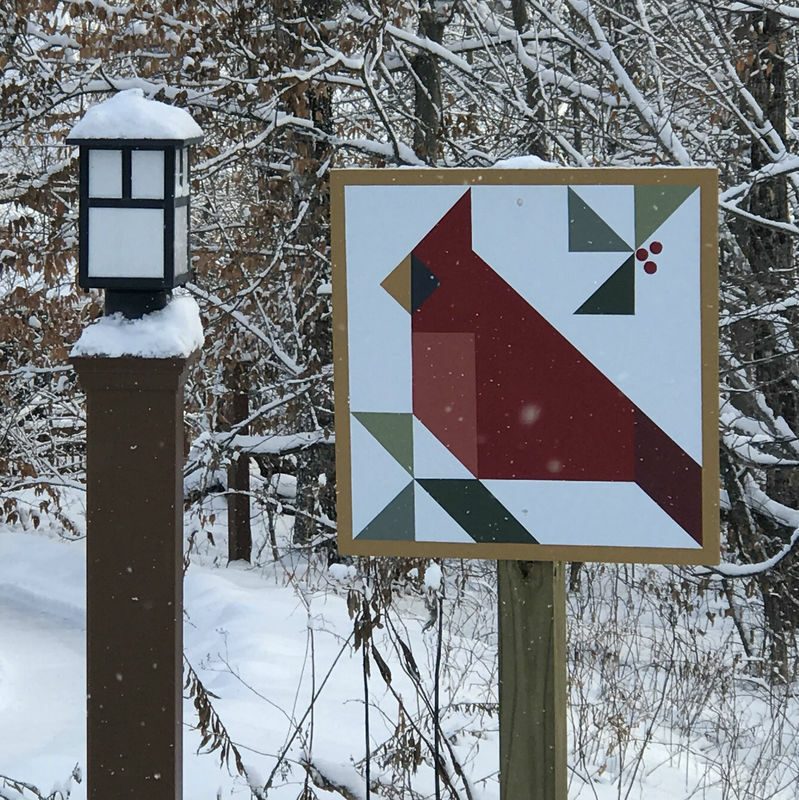 For the 2016 Winterfest Weekend on January 29-31 a list and map of thirteen barn quilt locations was handed out as part of the Annual Quilt Show. 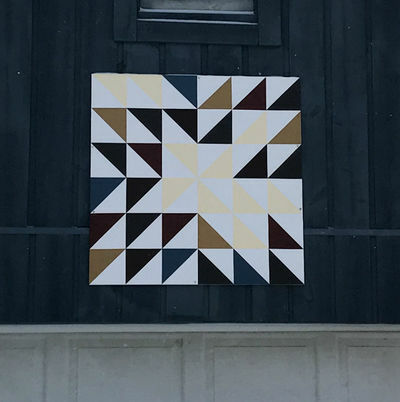 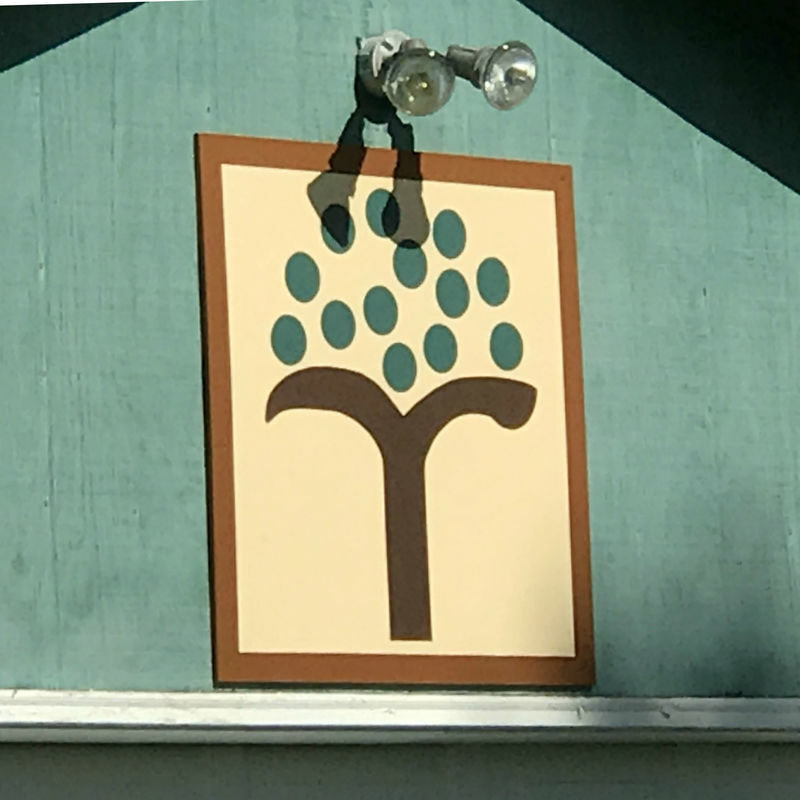 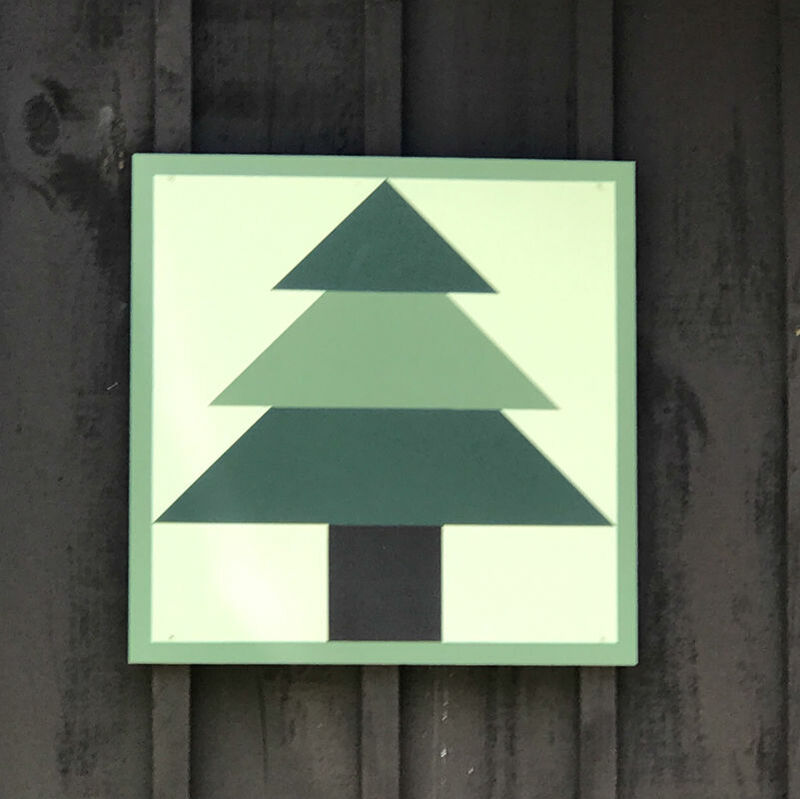 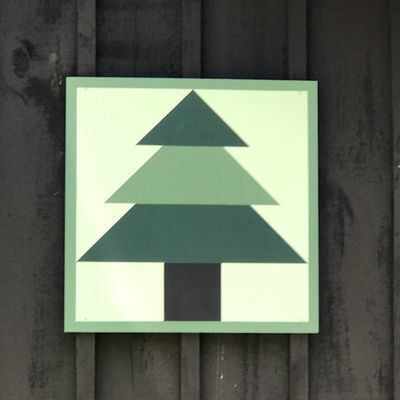 The UPDATED LIST and UPDATED MAP (click words to open), revised twice year, now includes 122 barn quilts as of January 2019. 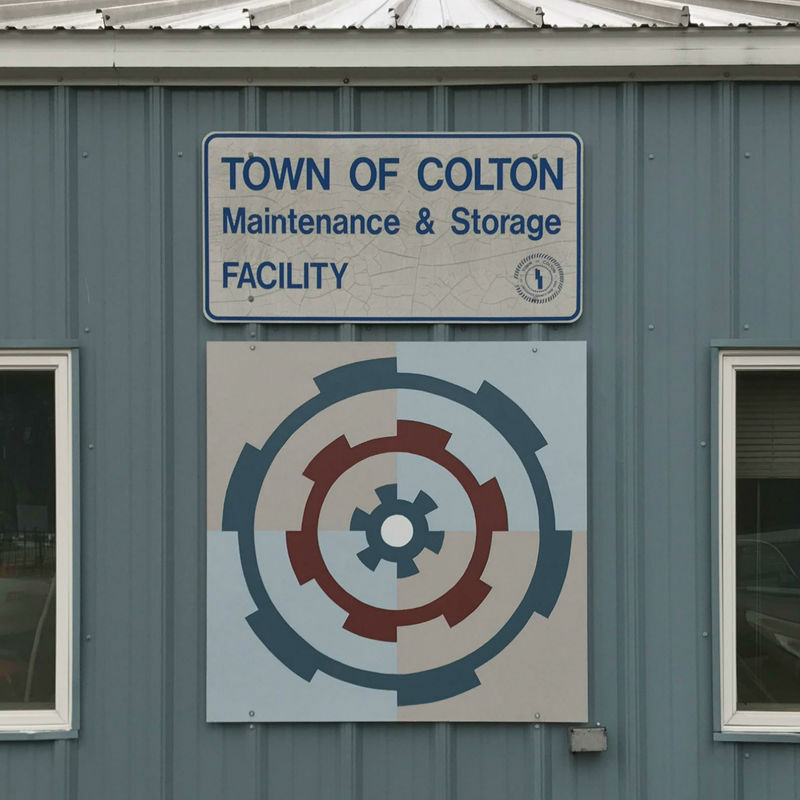 Both the list and map are formatted to print on legal-size paper. And hard copies are available in the Town Hall on Main Street and during the summer at the Stone Valley Information Center in the Colton Museum.